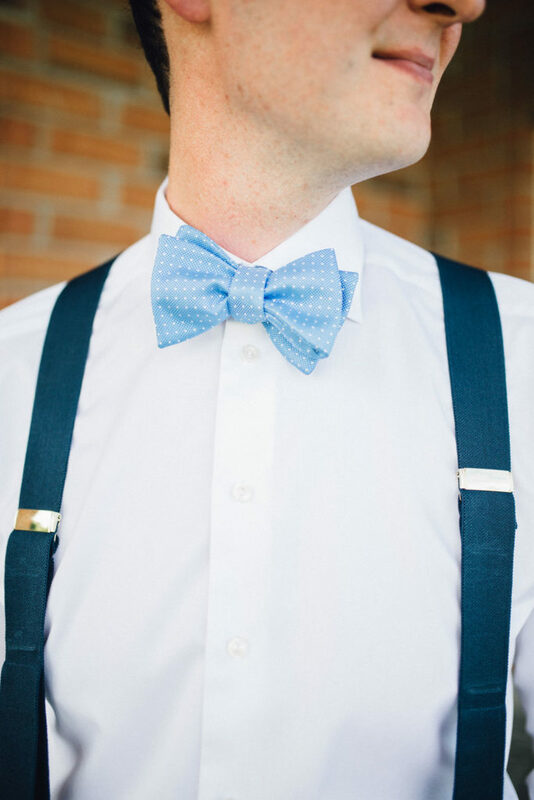 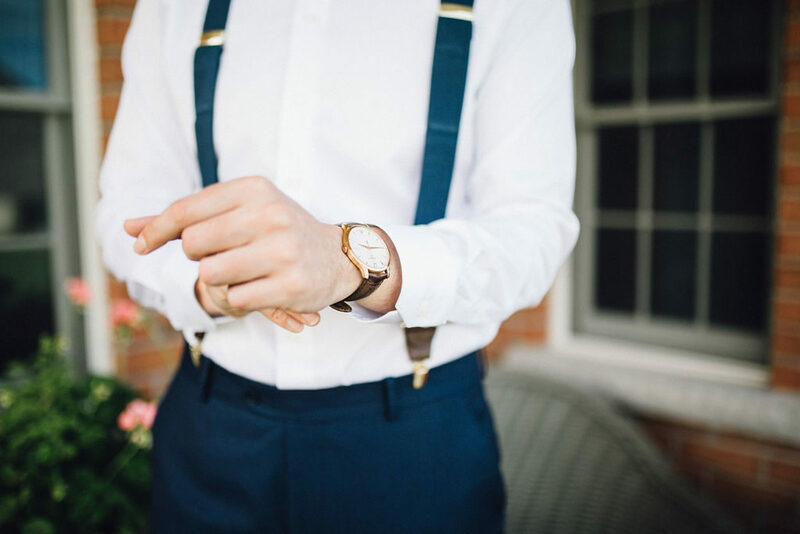 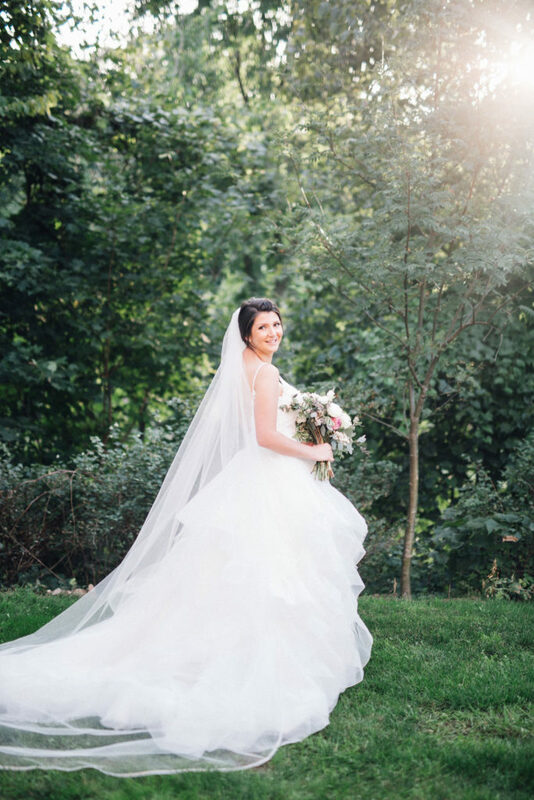 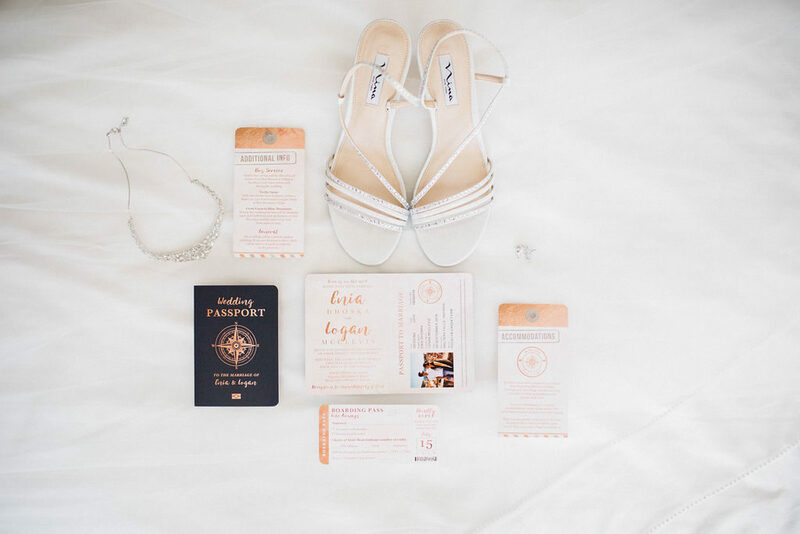 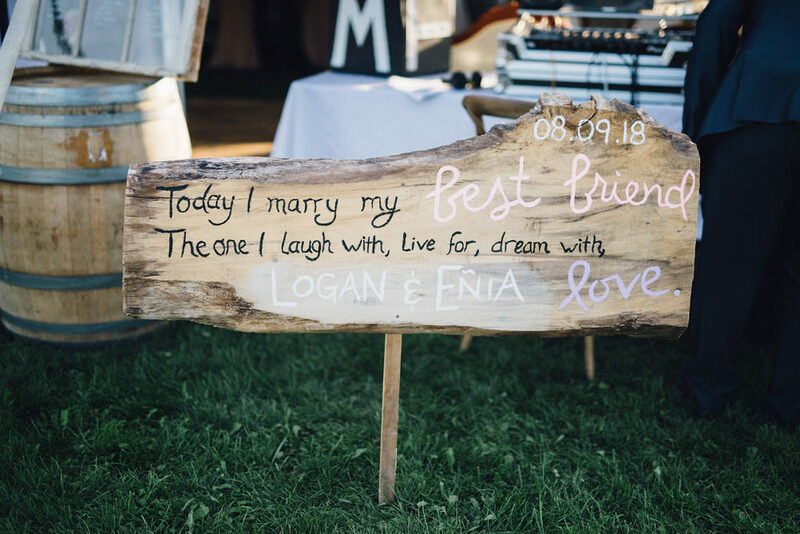 Enia & Logan are a wonderful couple that I had the pleasure of meeting through the lovely Simply Lace Photography. 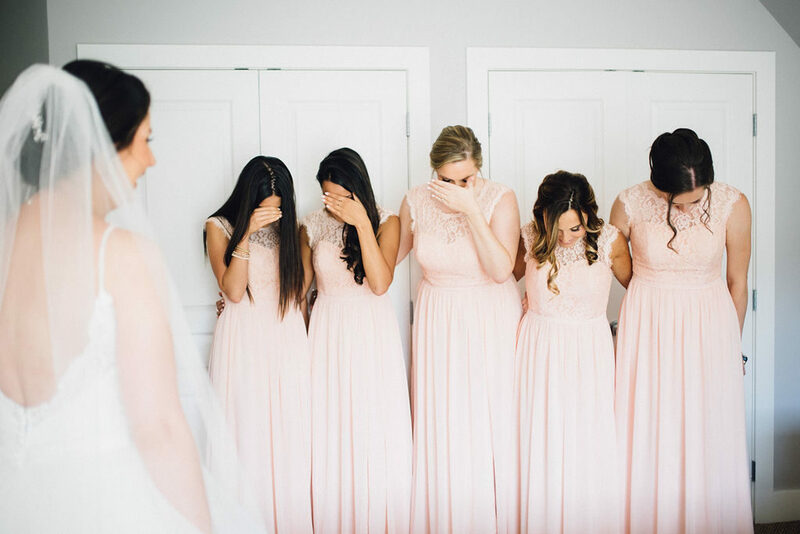 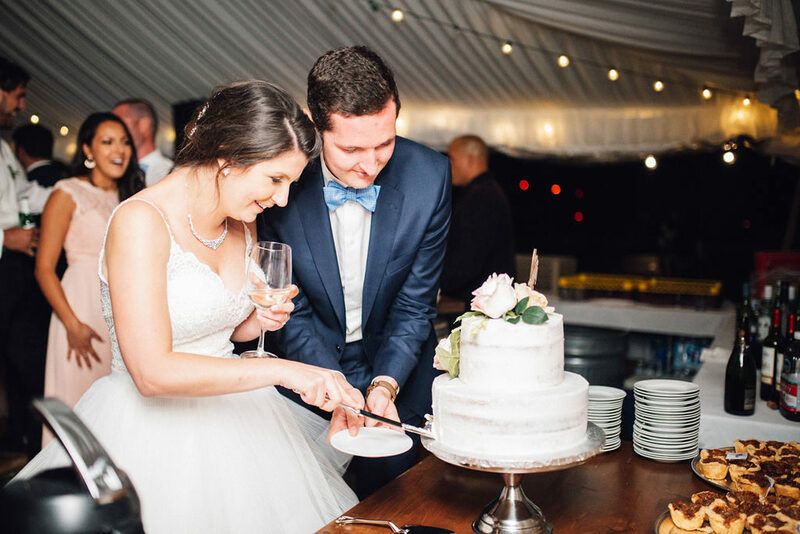 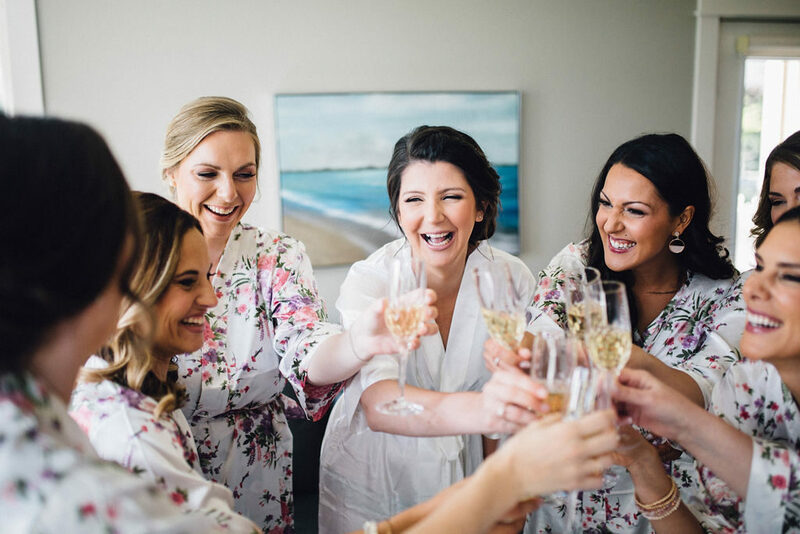 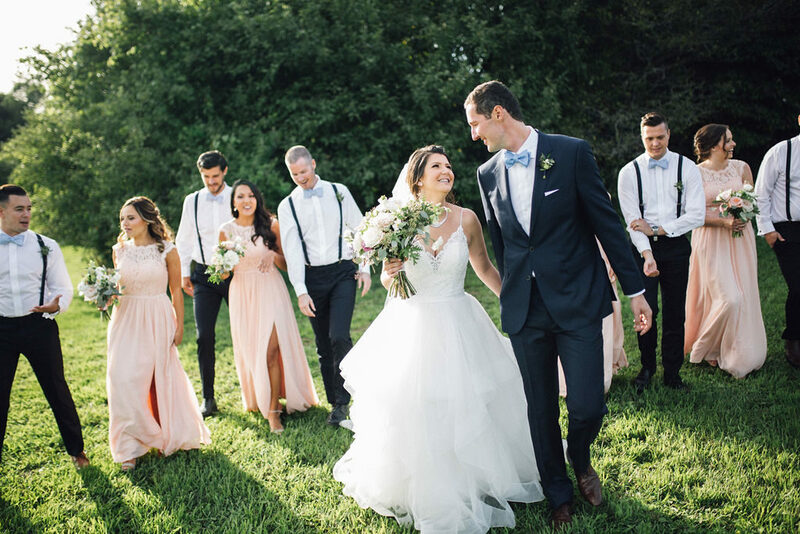 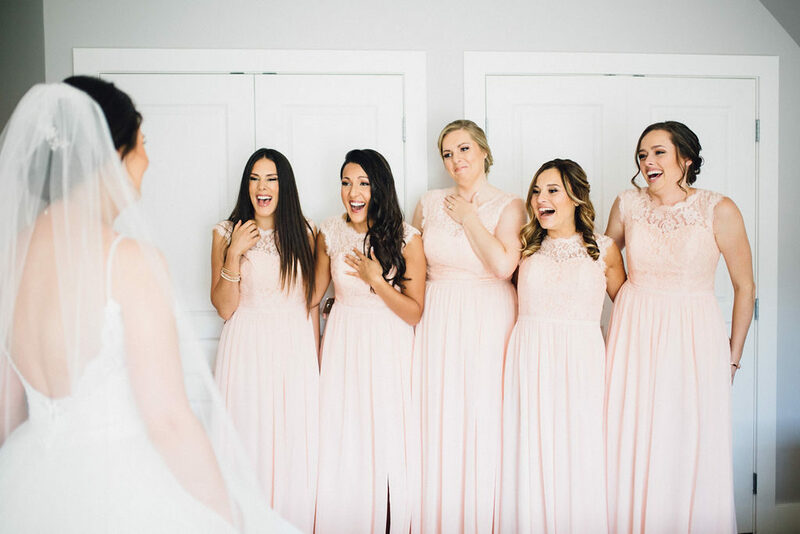 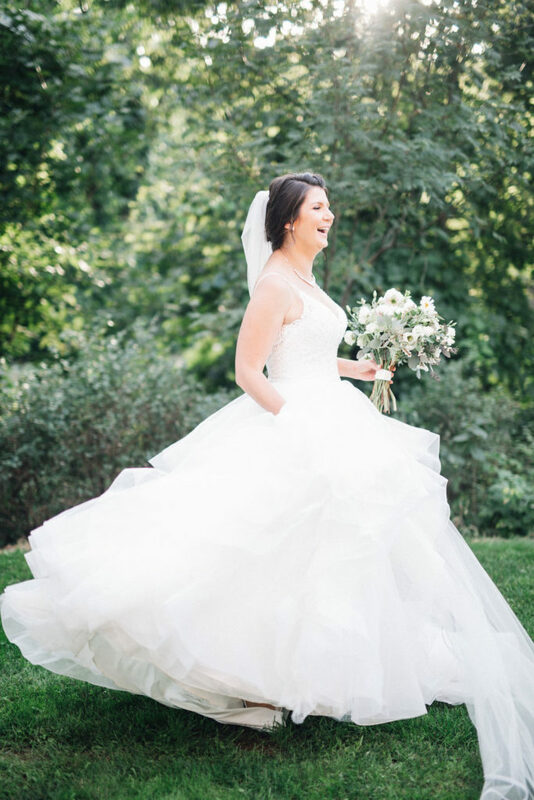 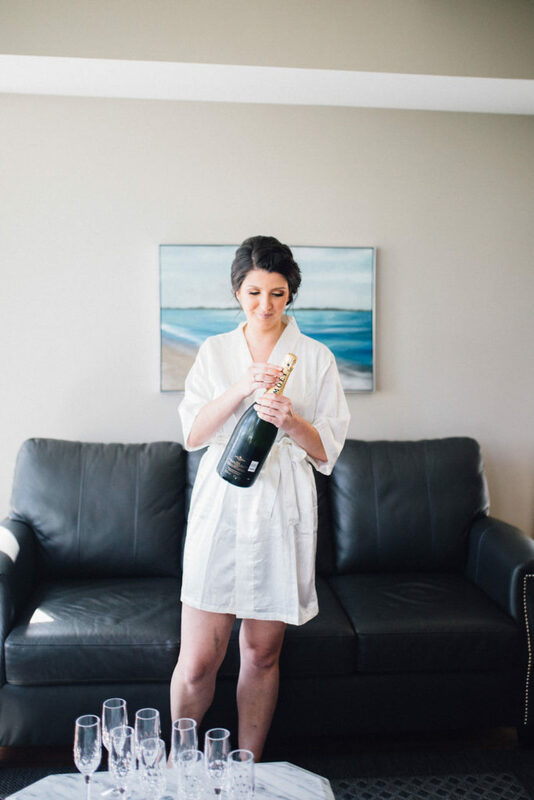 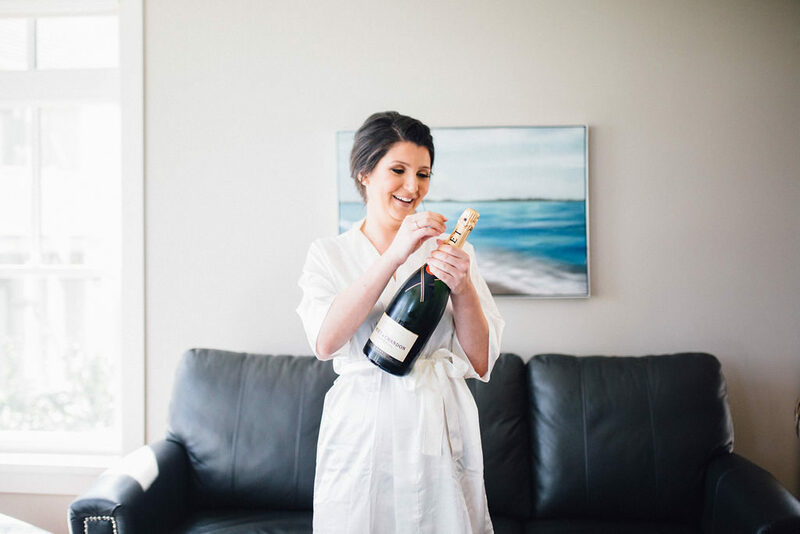 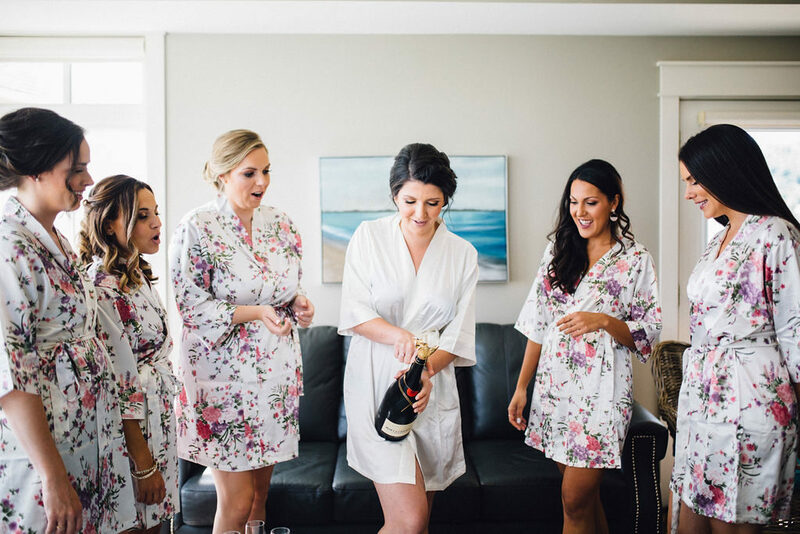 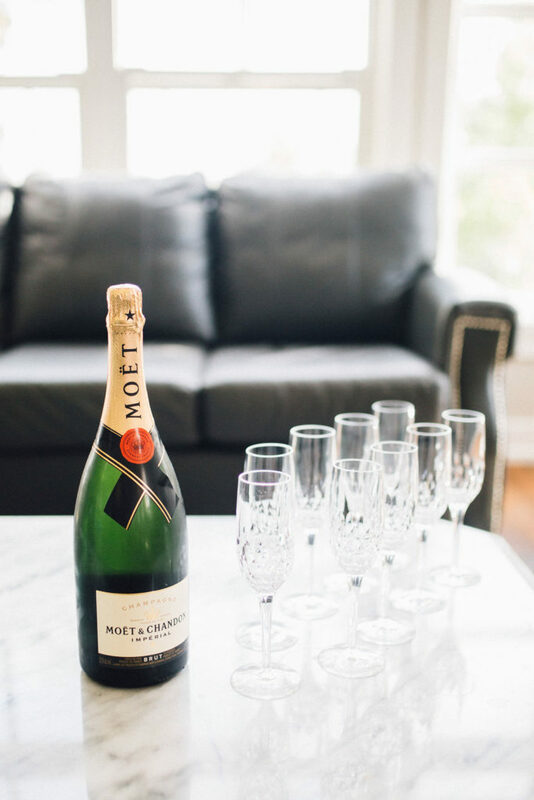 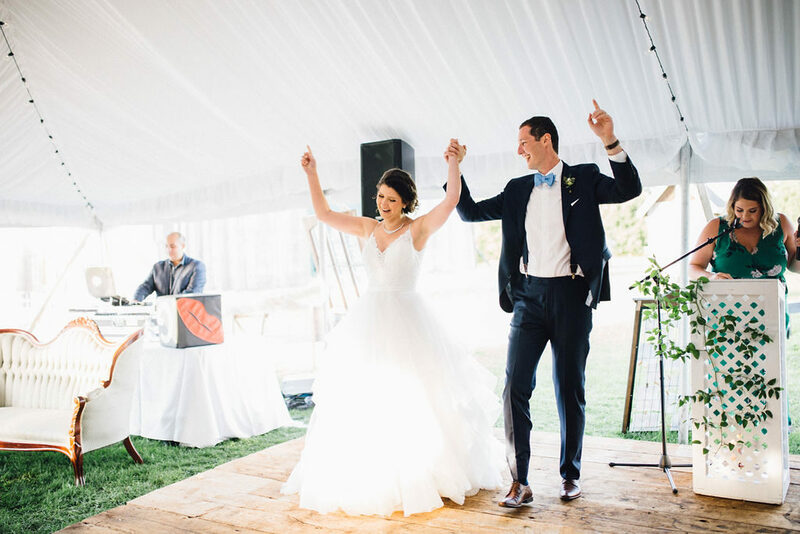 They are the kind of couple that every wedding planner dreams of working with – easy going, fun, and trusting. 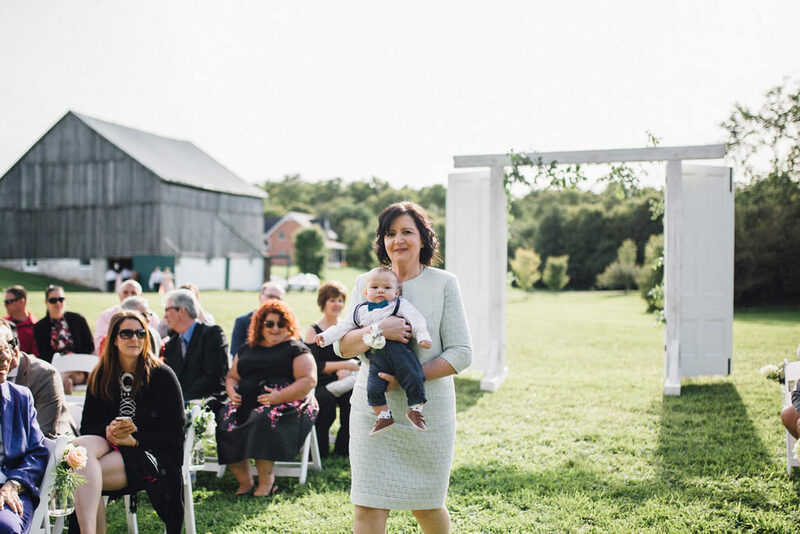 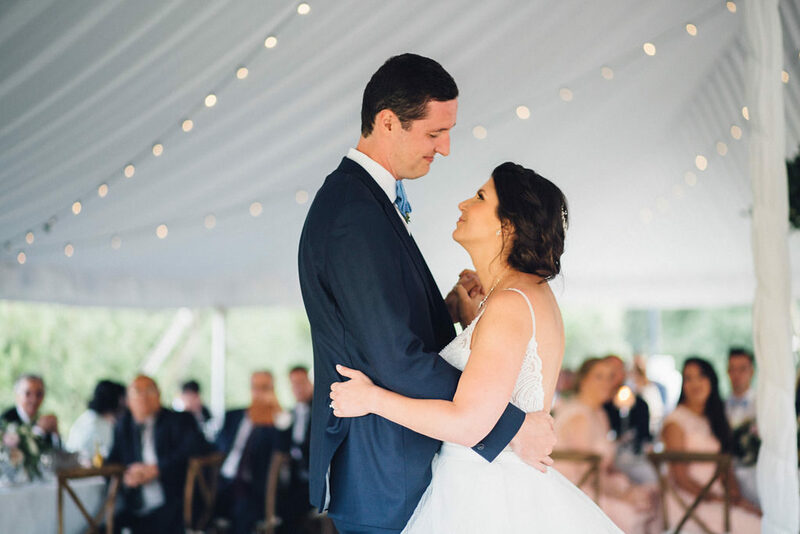 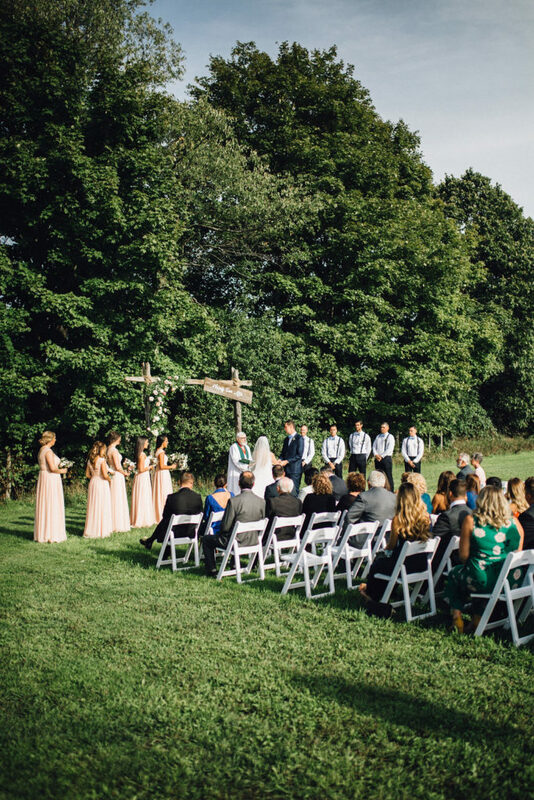 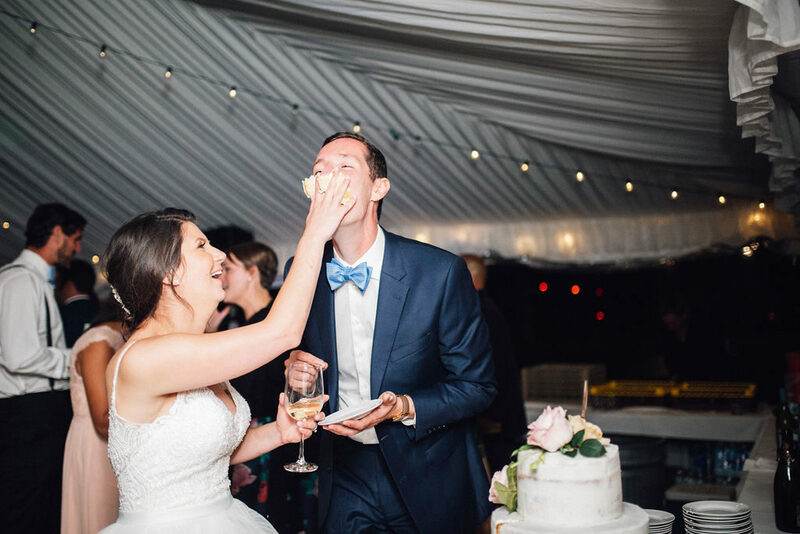 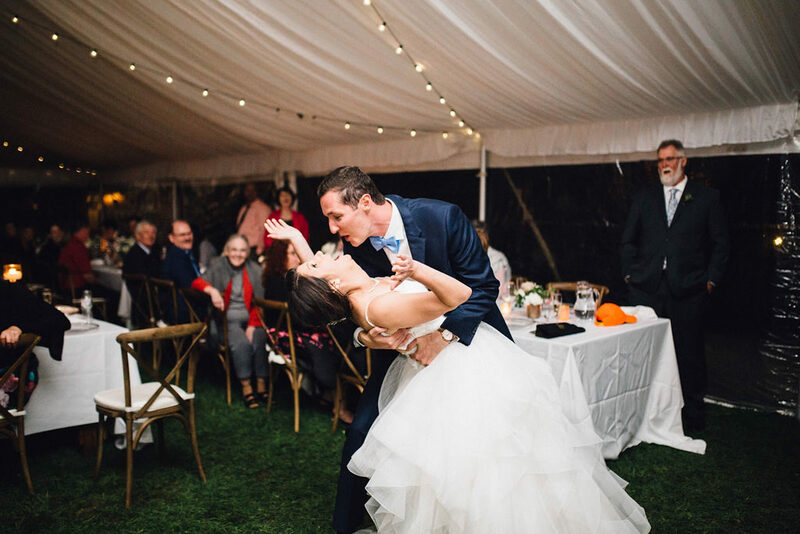 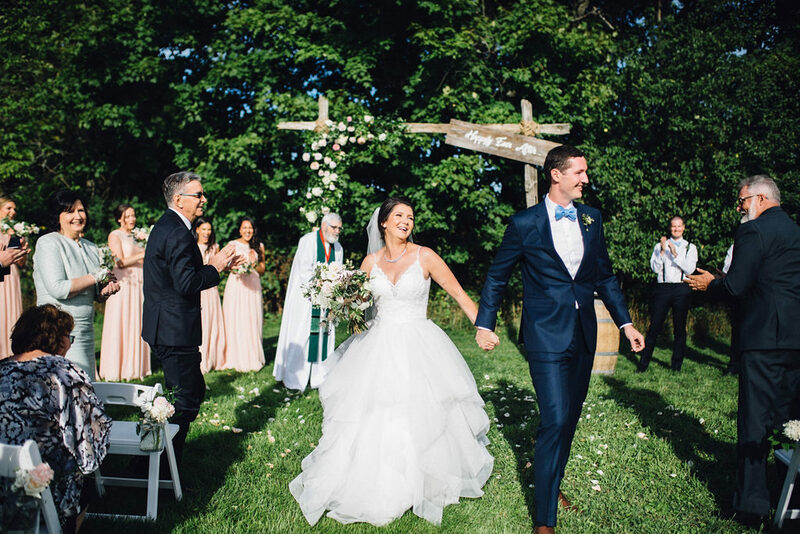 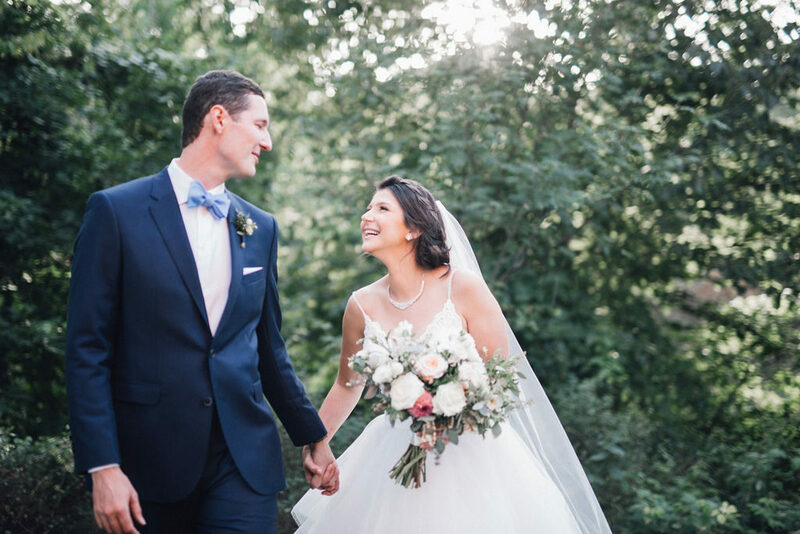 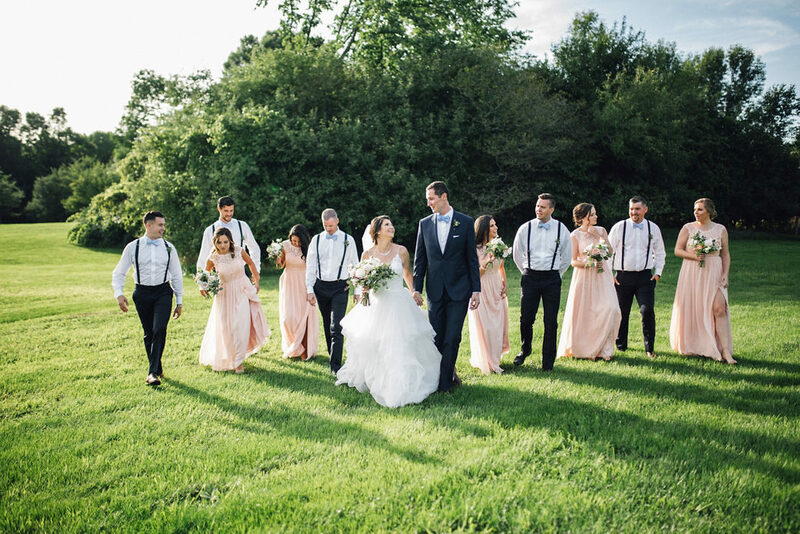 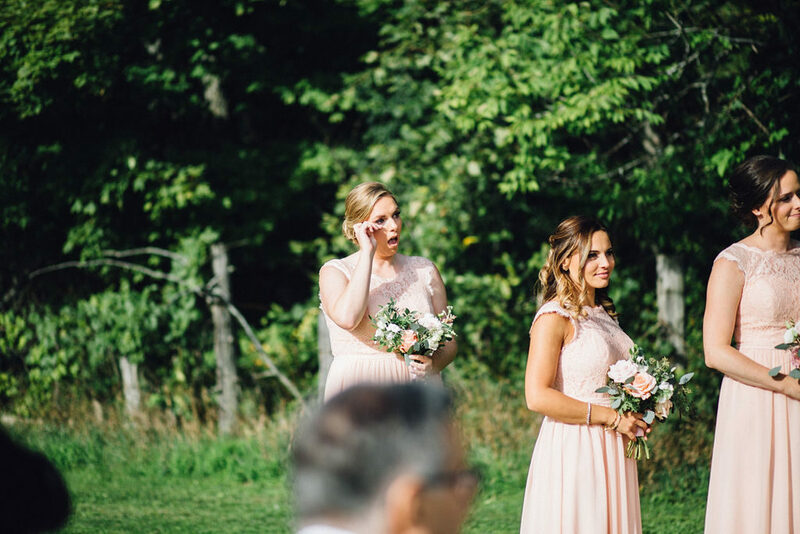 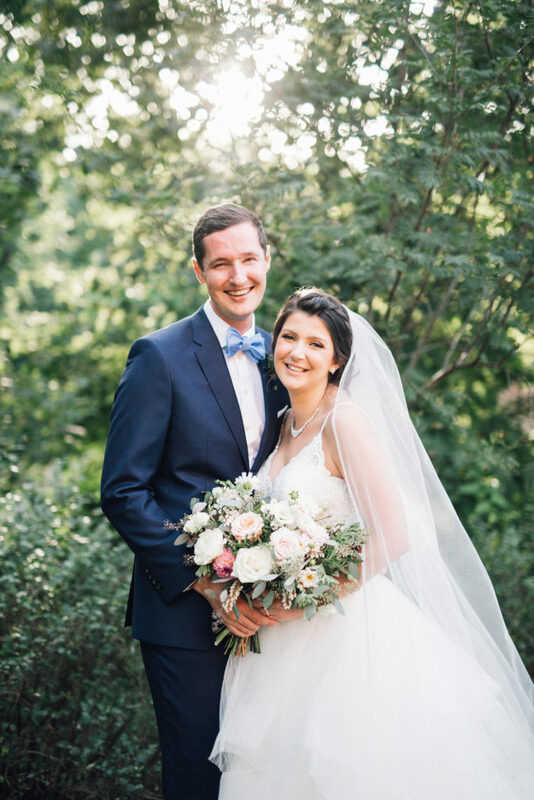 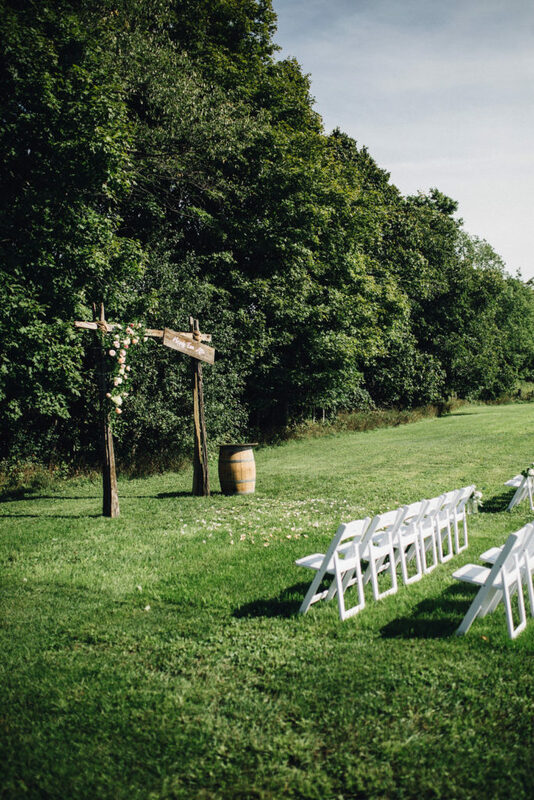 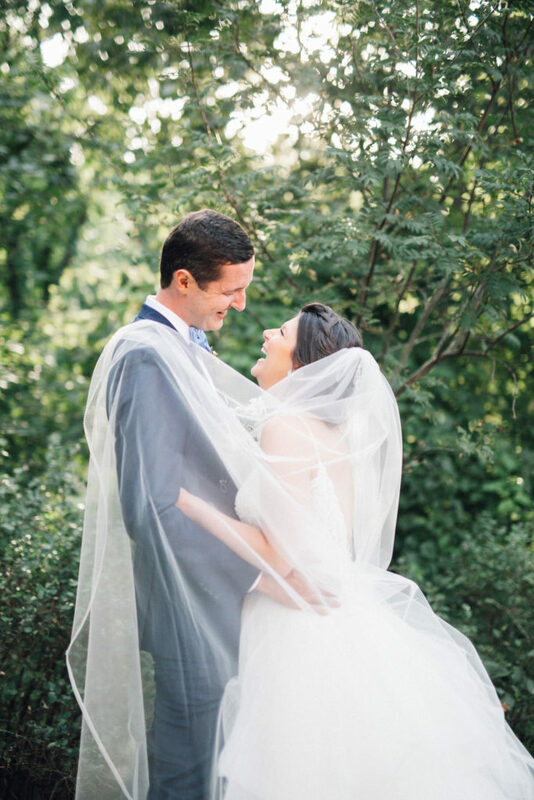 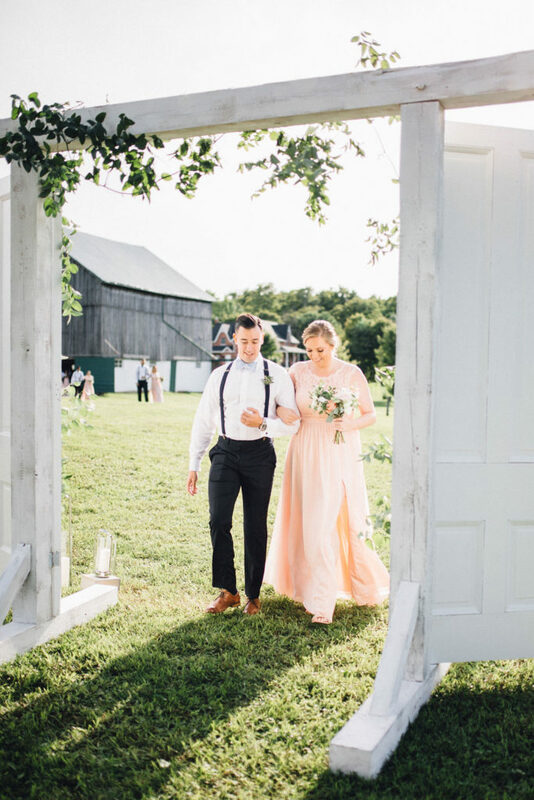 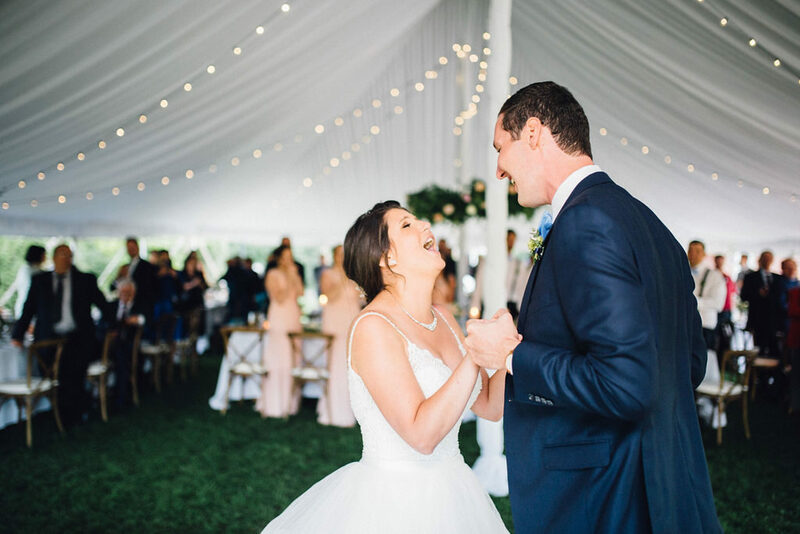 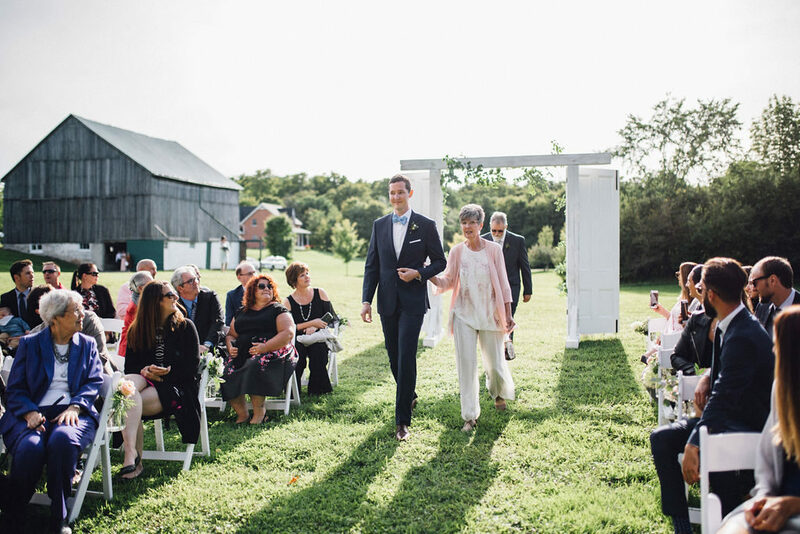 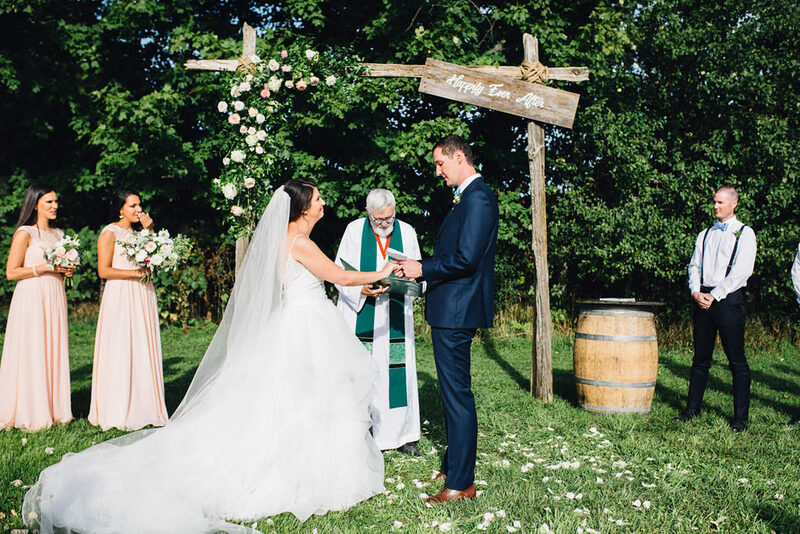 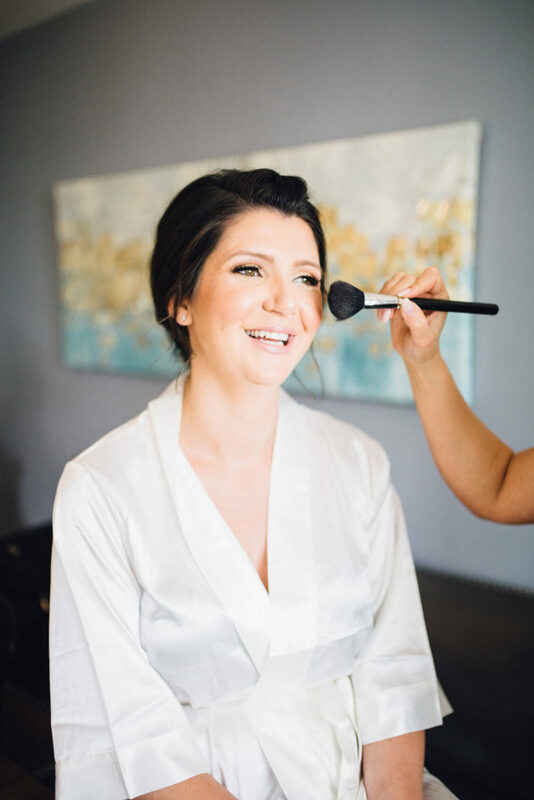 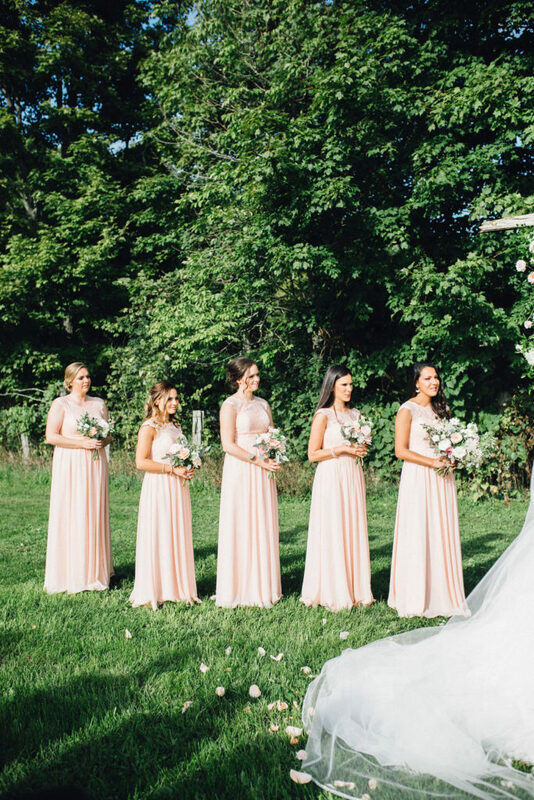 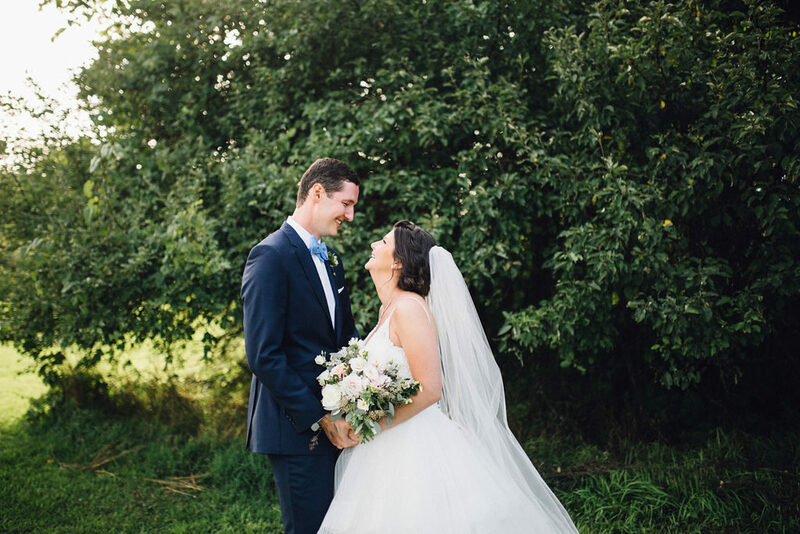 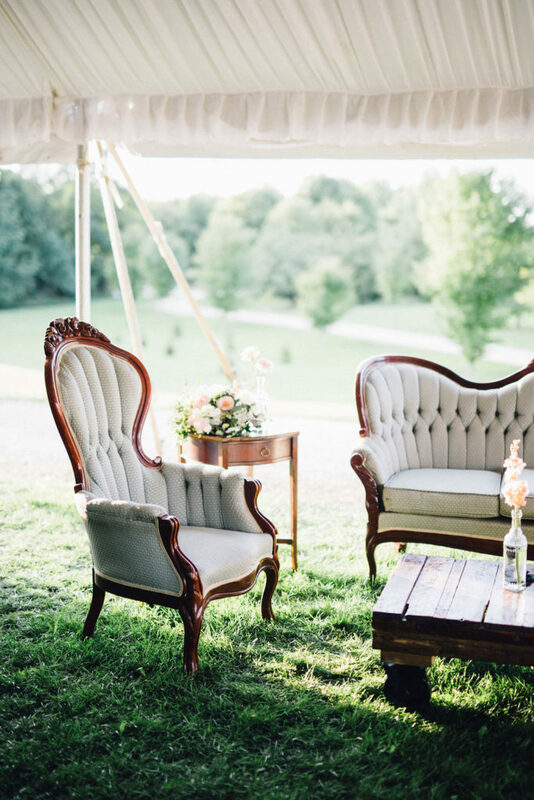 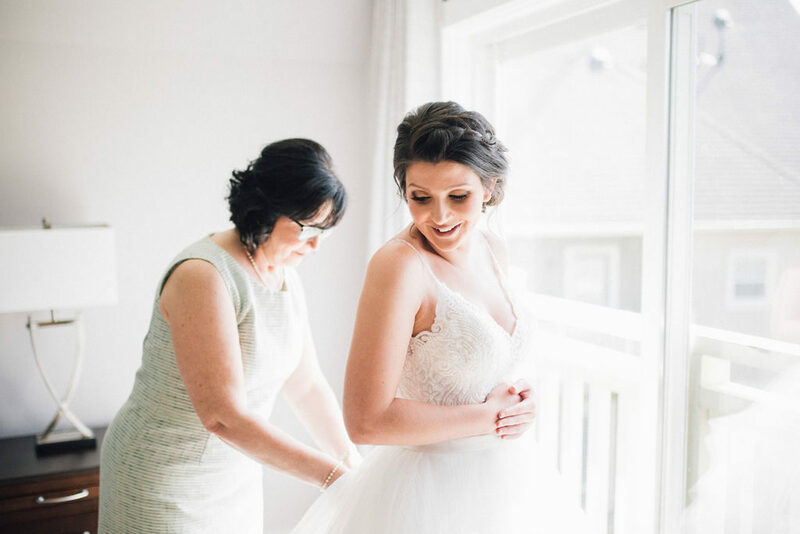 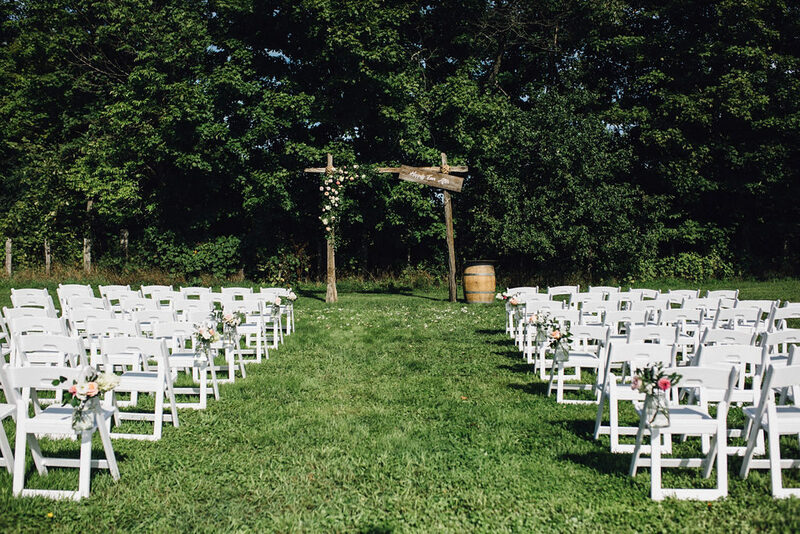 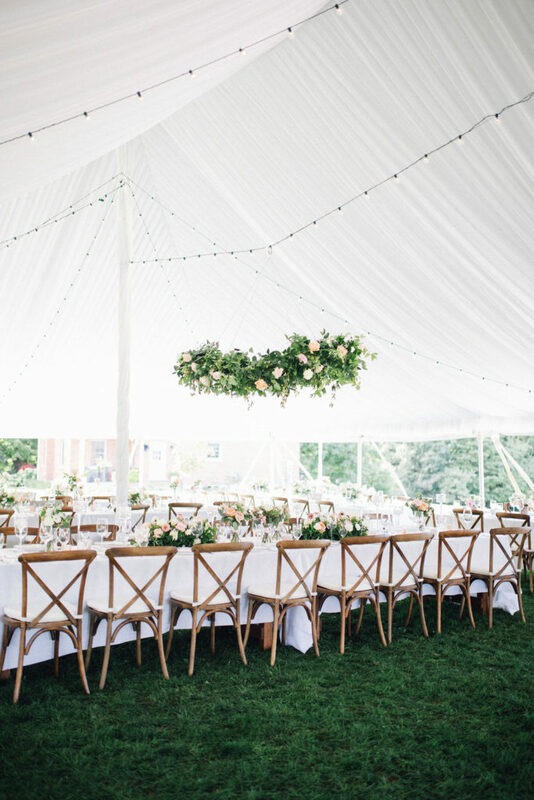 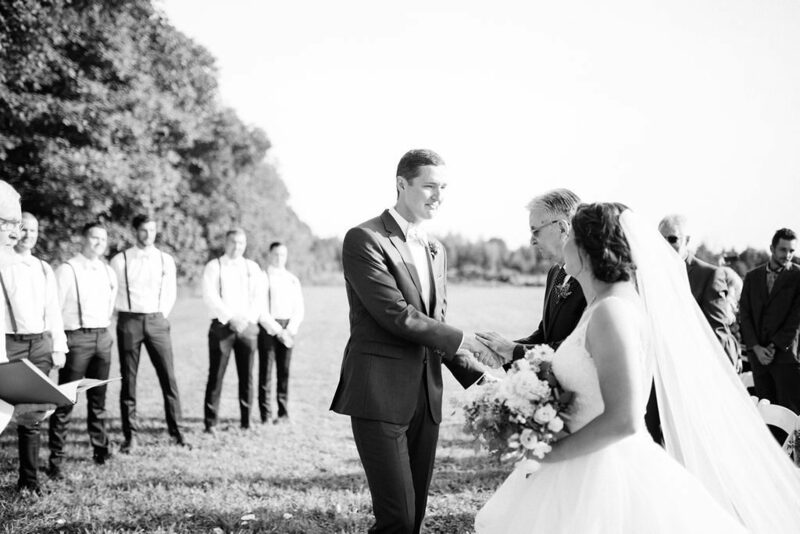 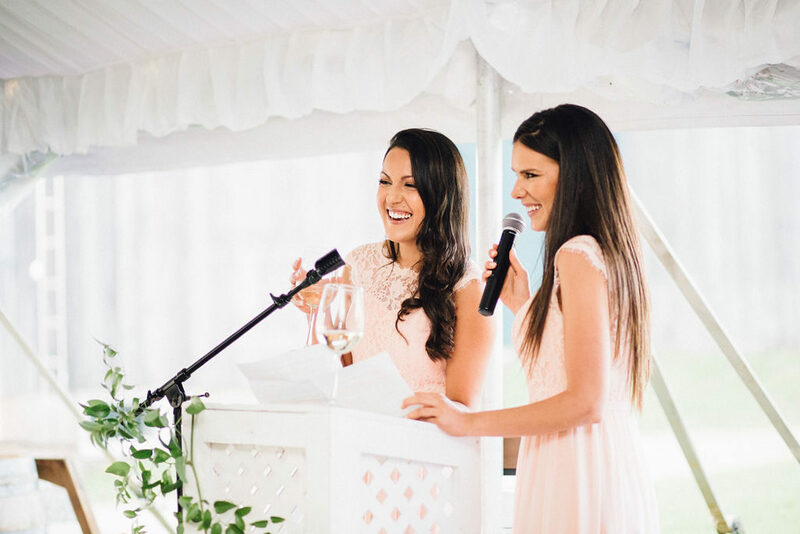 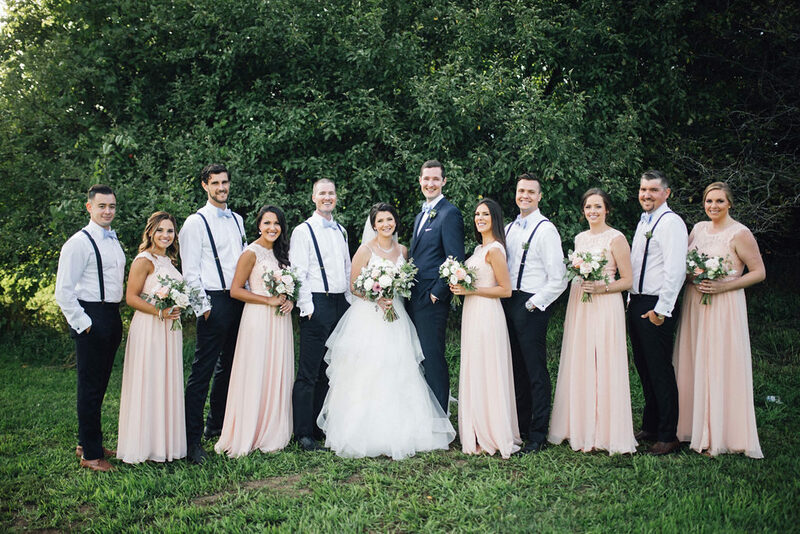 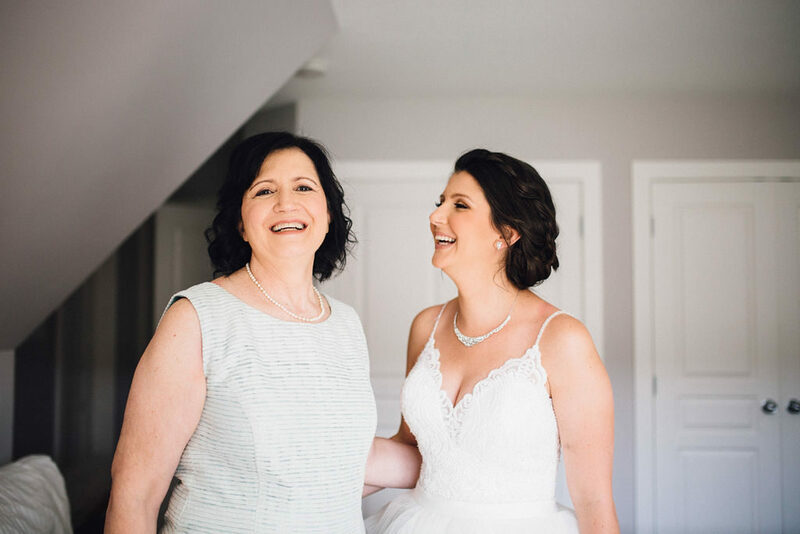 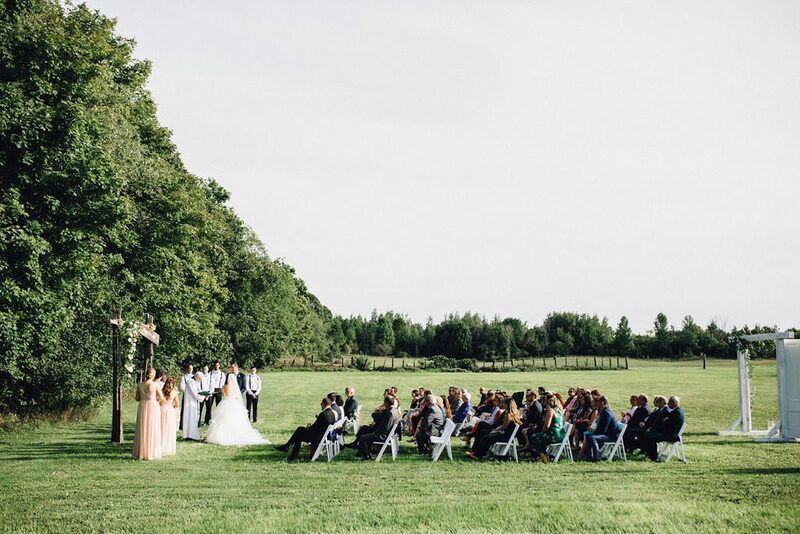 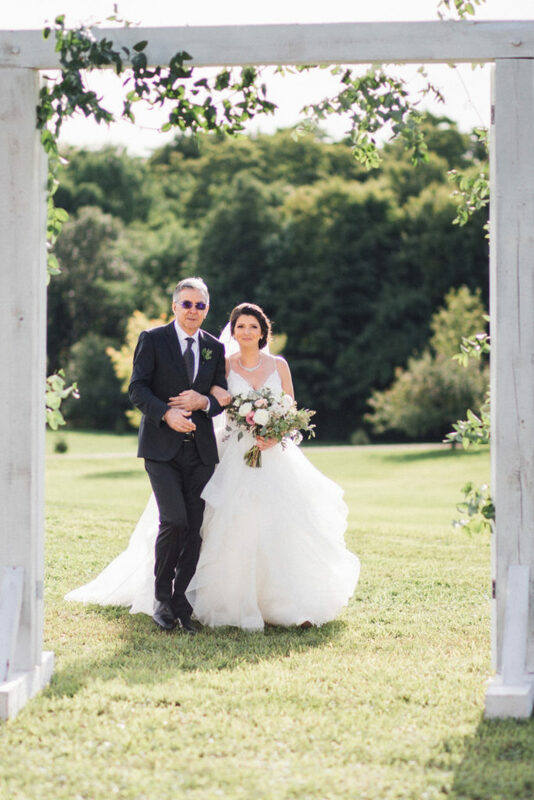 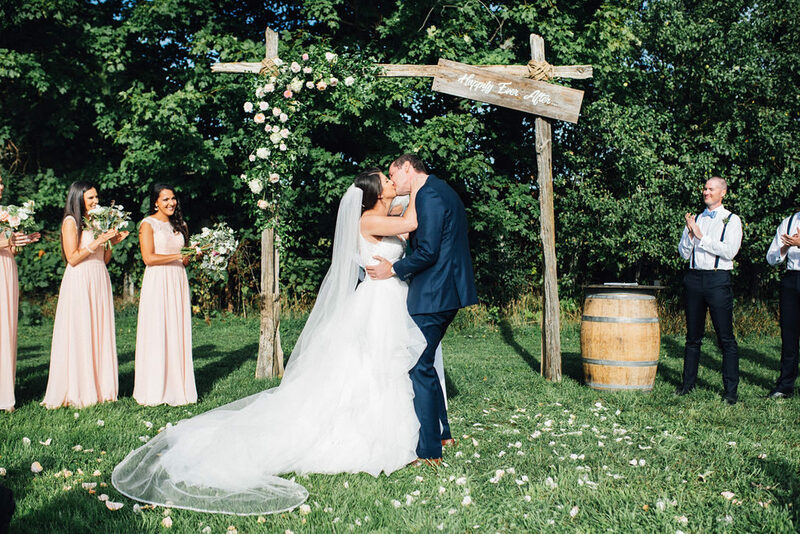 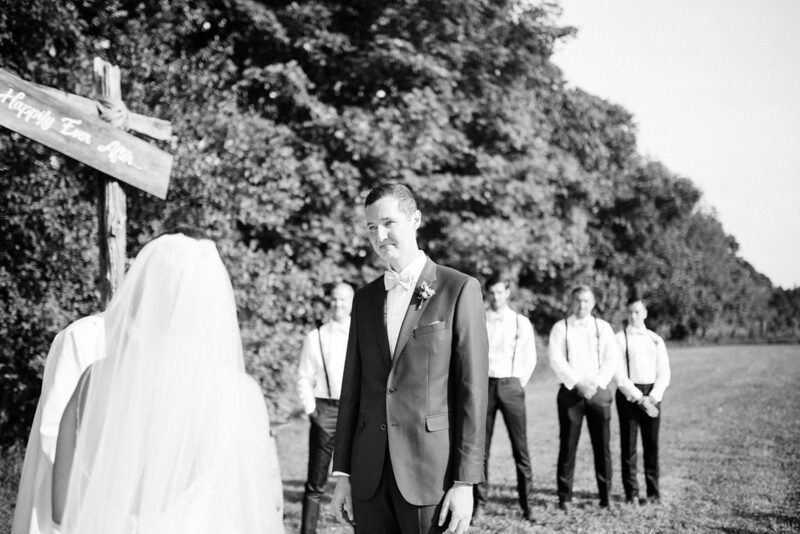 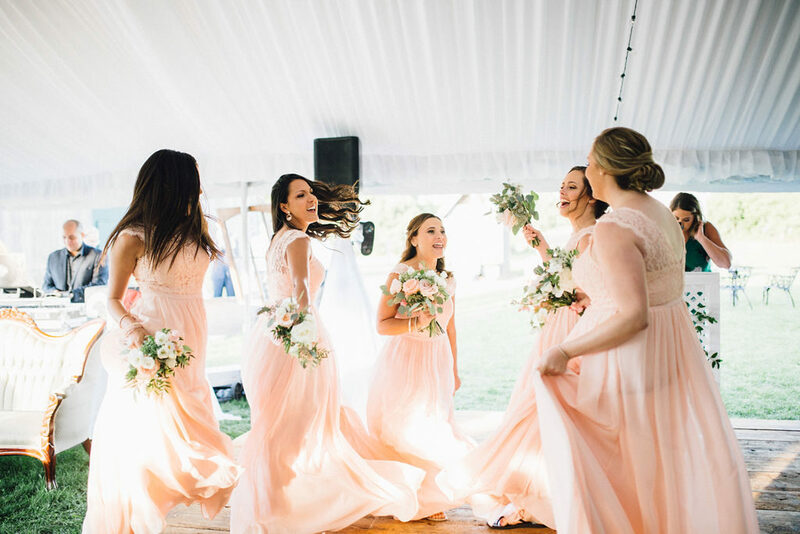 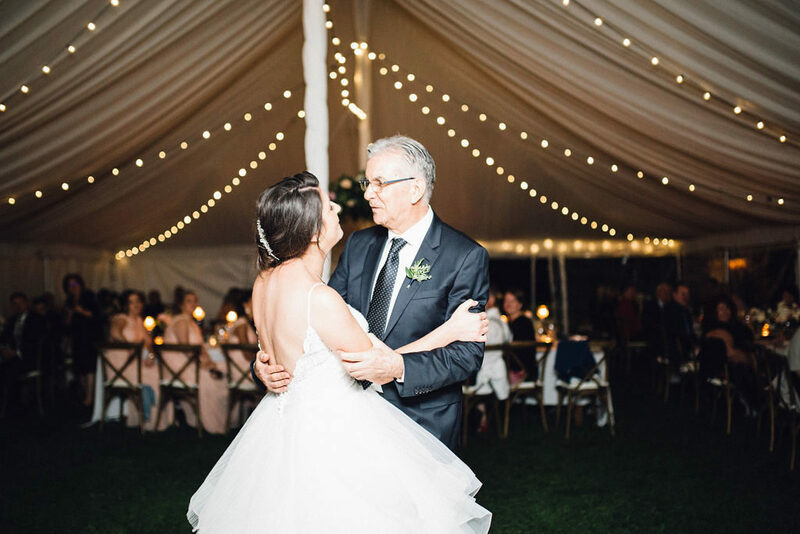 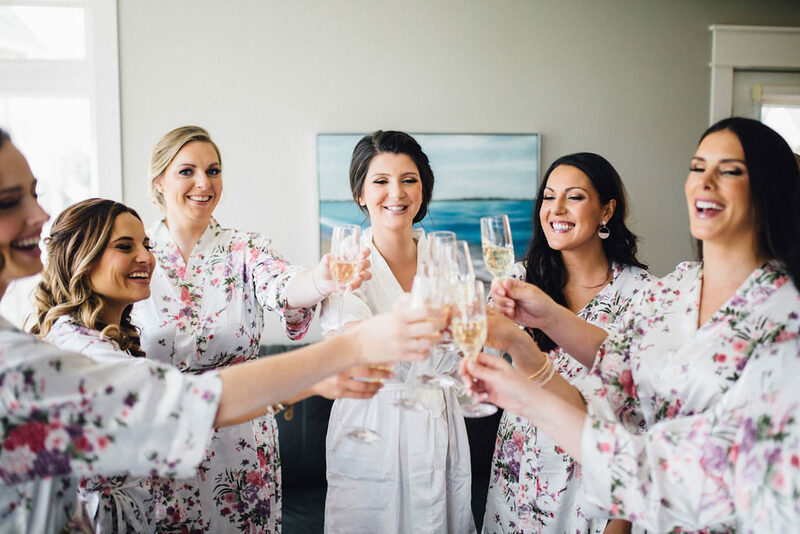 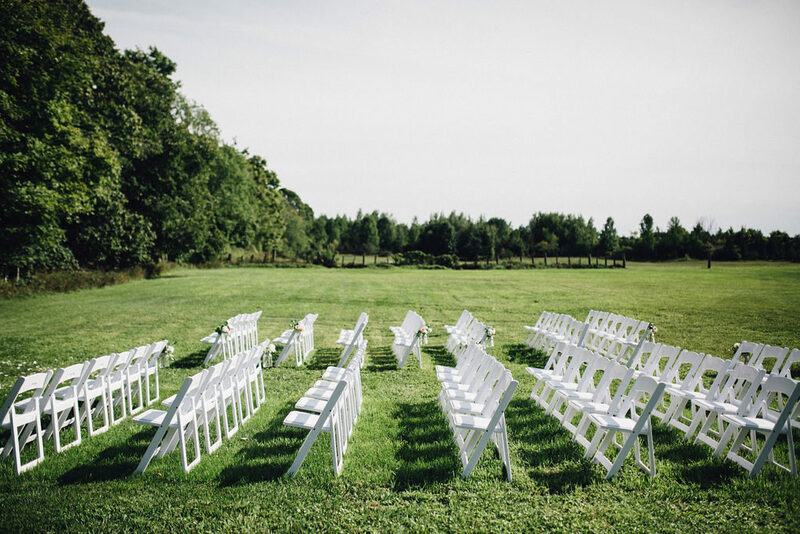 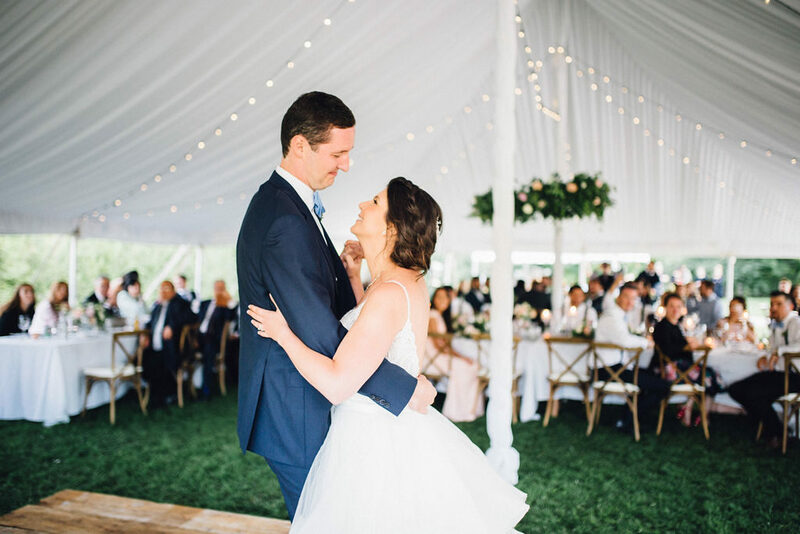 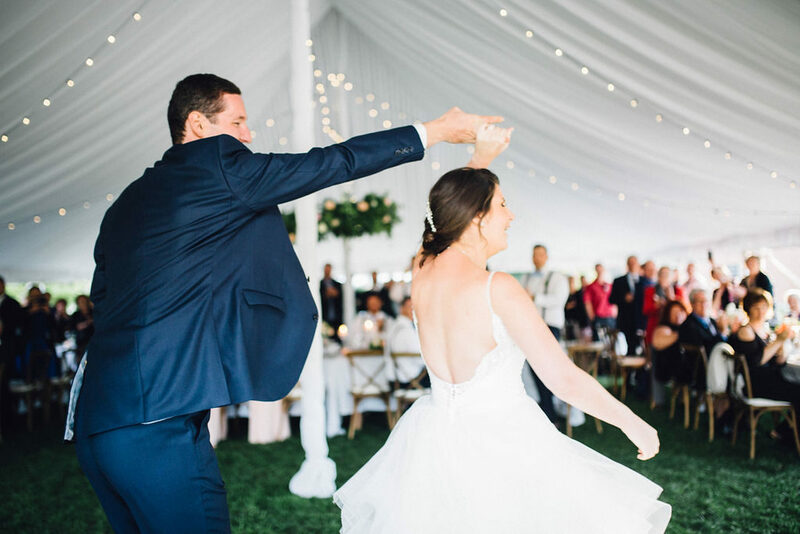 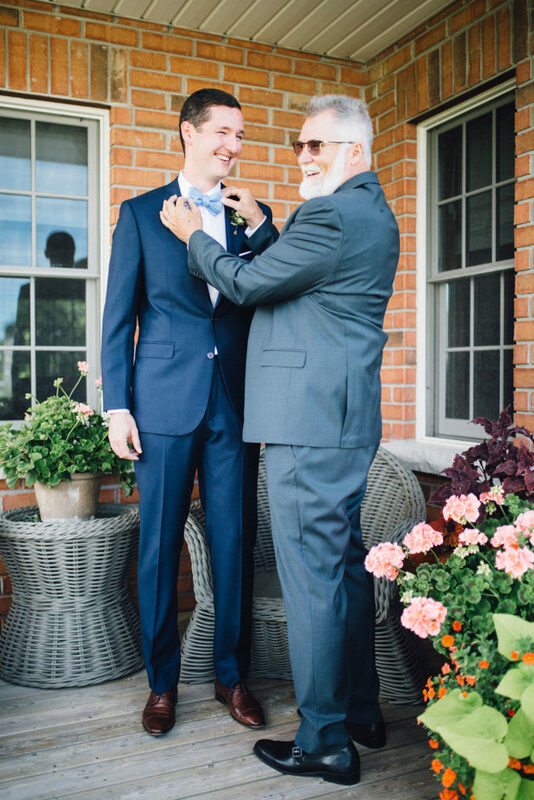 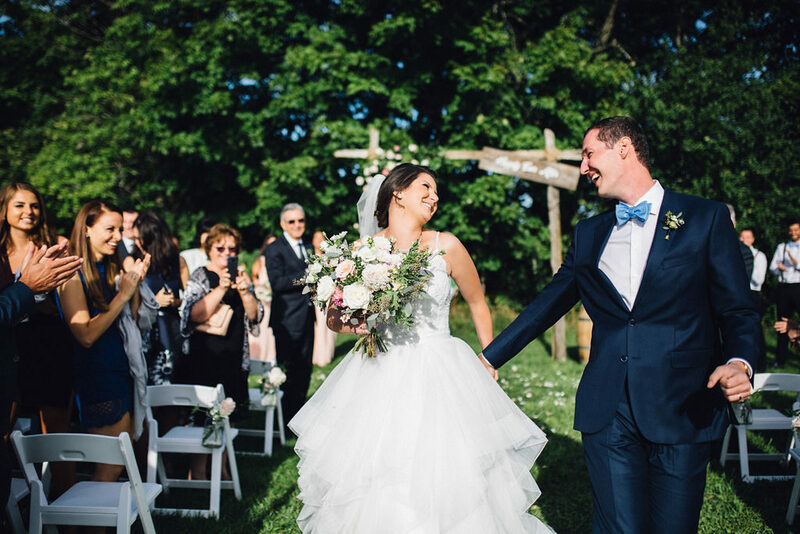 When we first met, Enia & Logan had an overall vision for their day – it would take place on the groom’s parents property just outside of Collingwood, ON, with the reception outdoors under a tent. 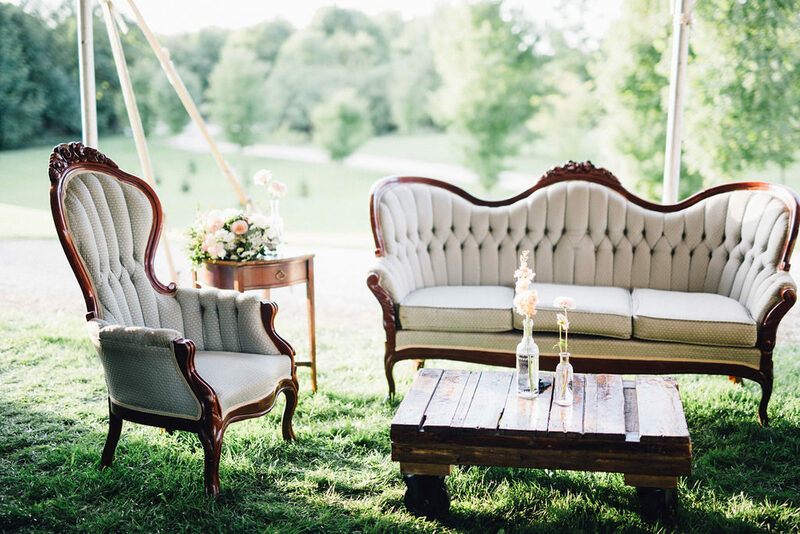 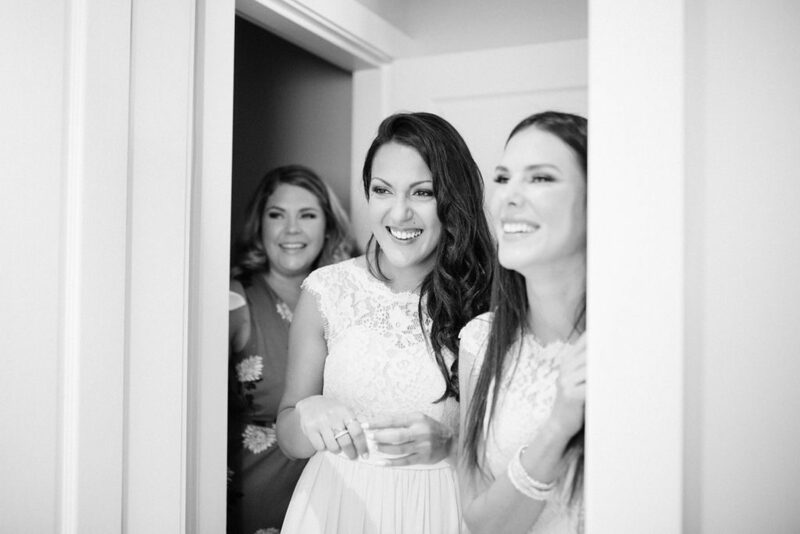 From there, we worked together to design a day that was truly reflective of their style and personalities. 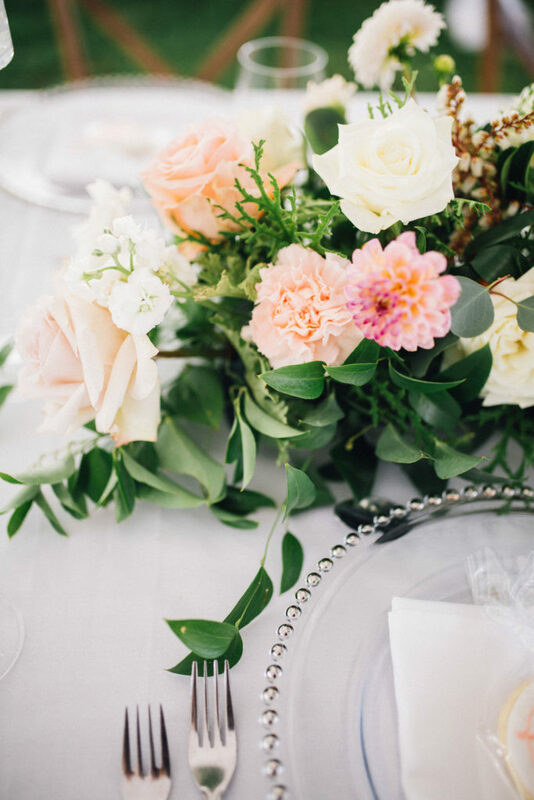 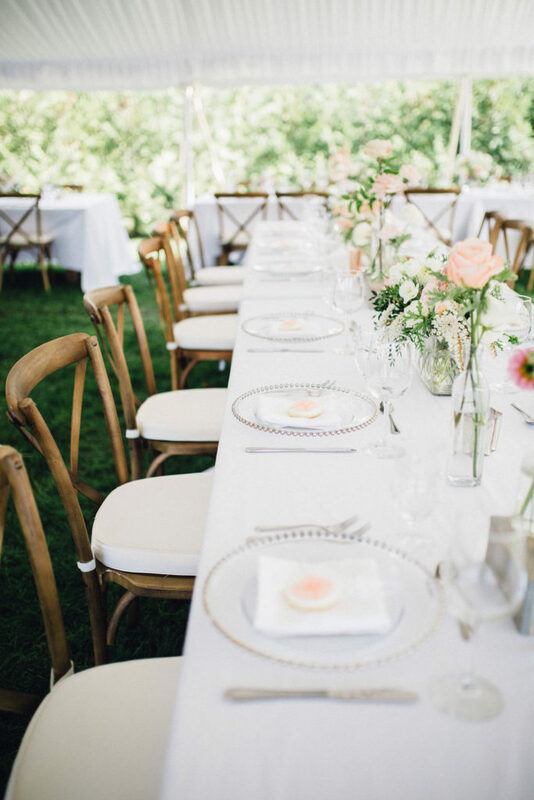 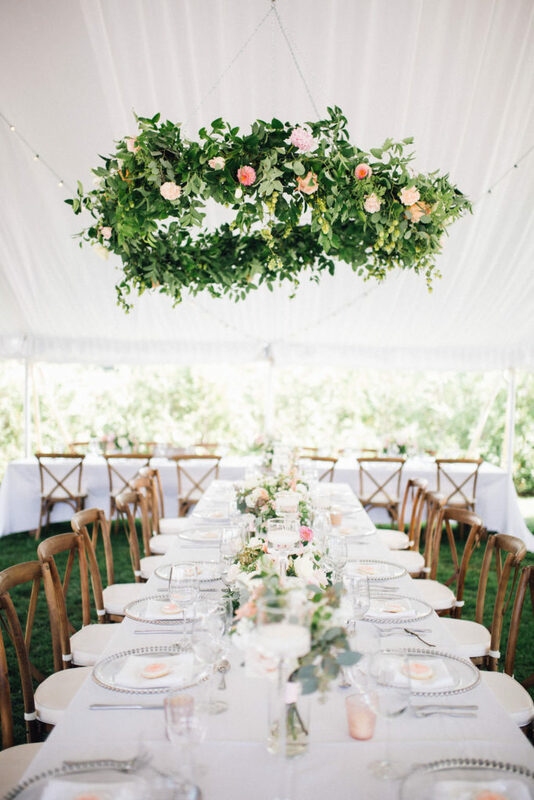 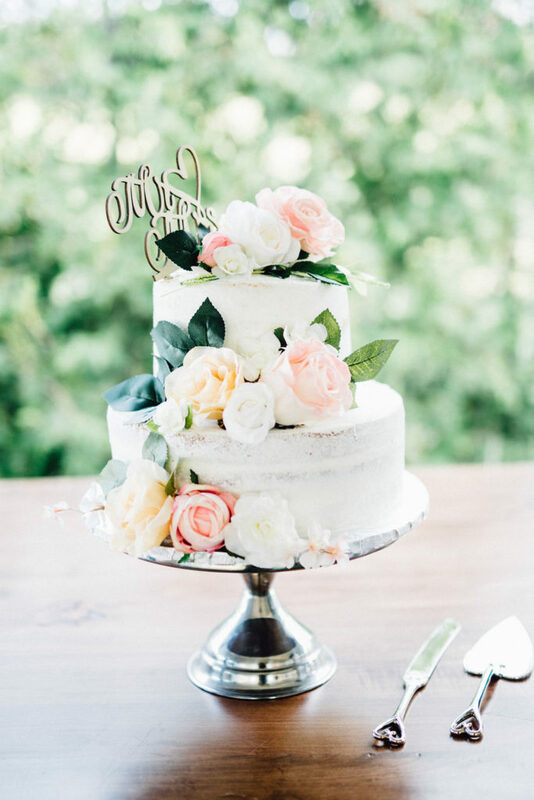 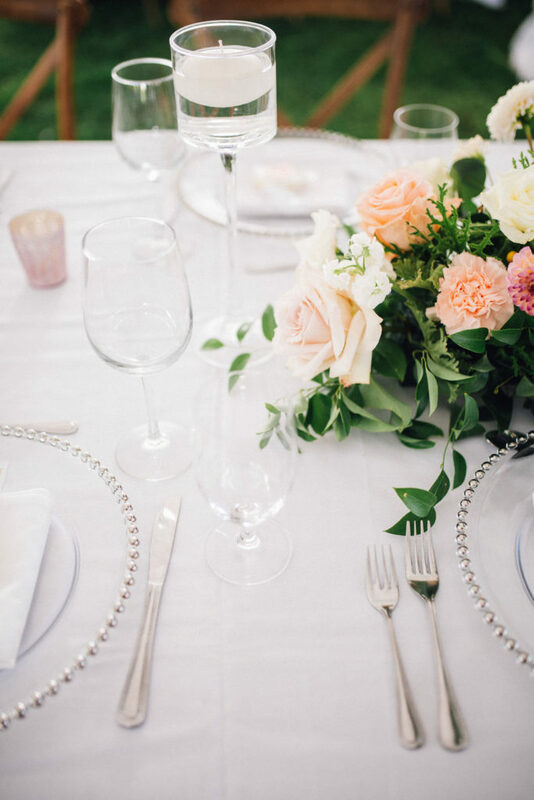 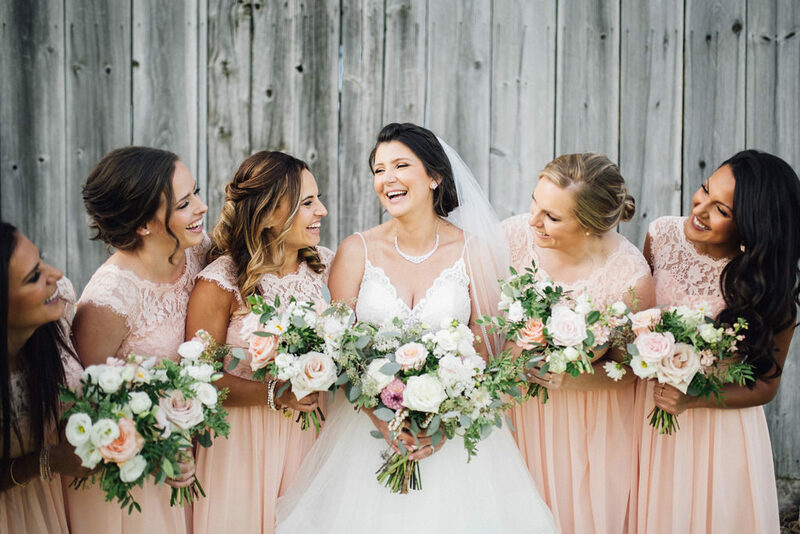 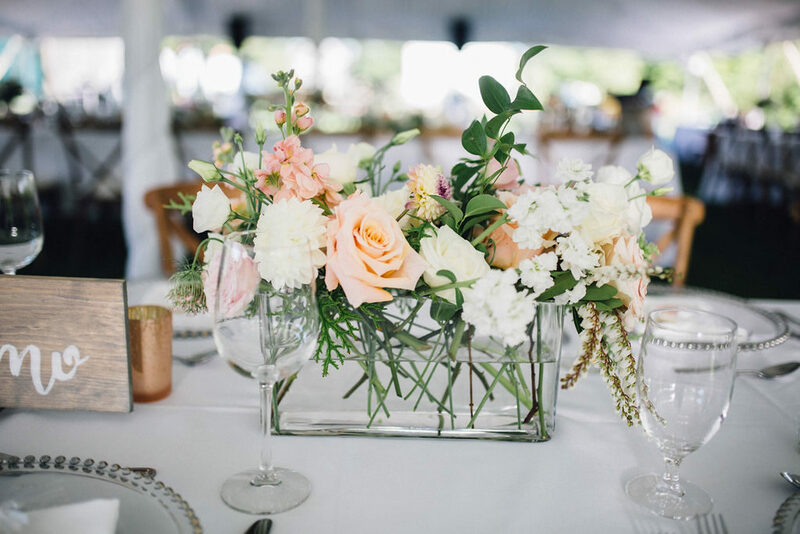 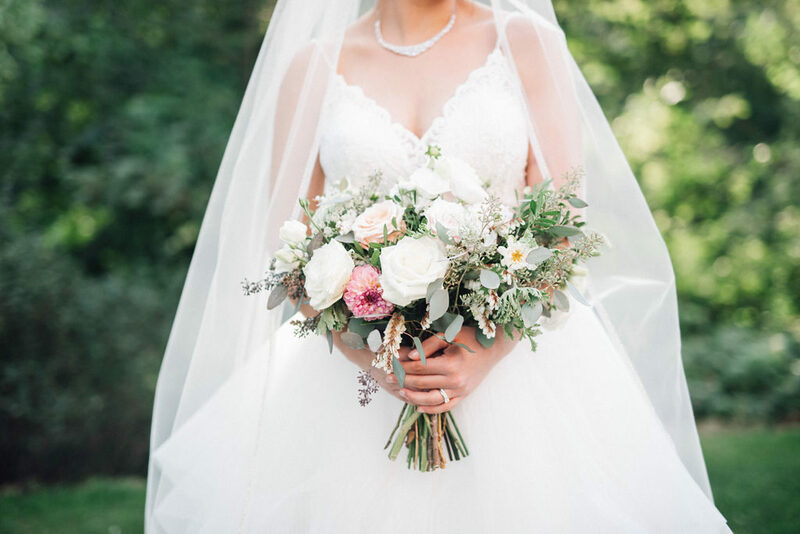 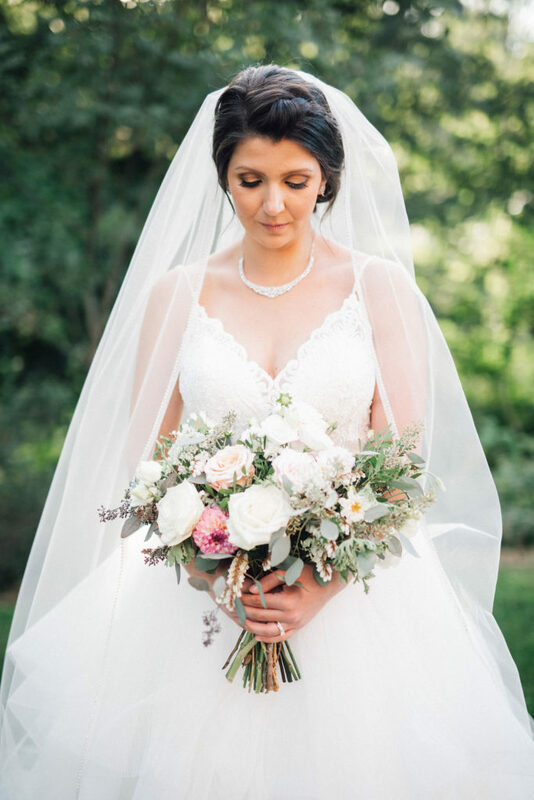 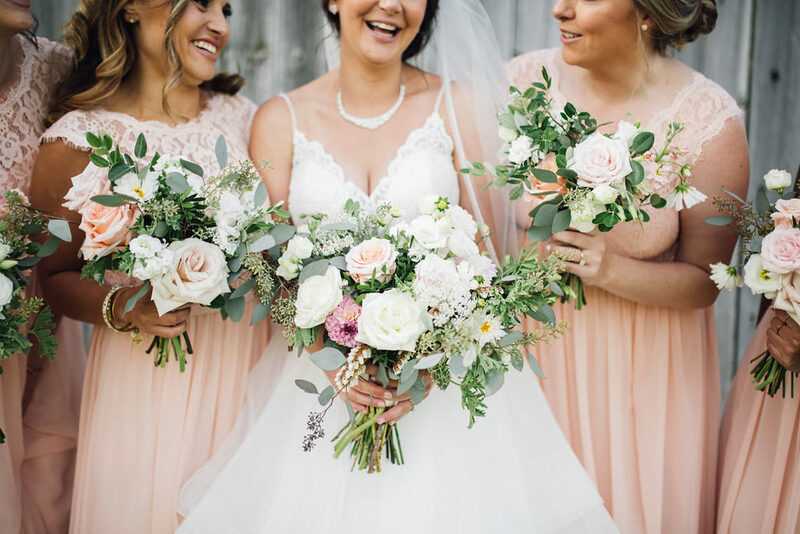 With the wedding taking place in late Summer, we focused on a neutral and soft palette of pale peach, blush, ivory and greenery with lush, romantic florals. 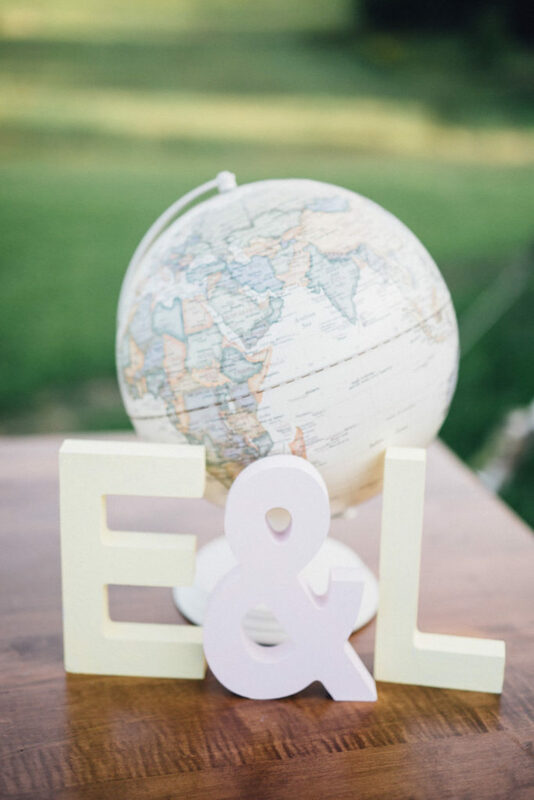 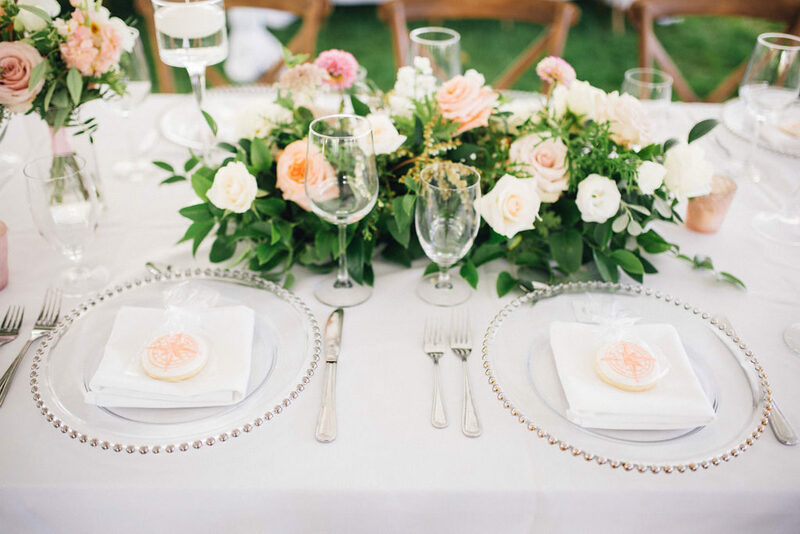 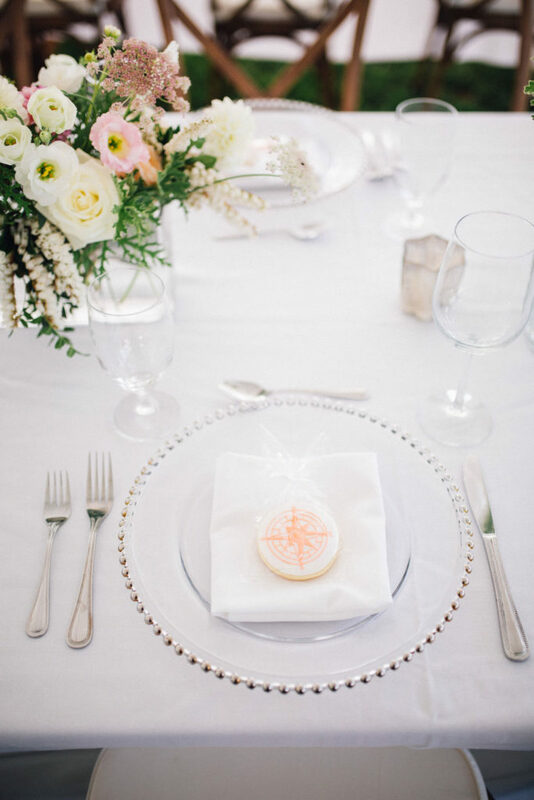 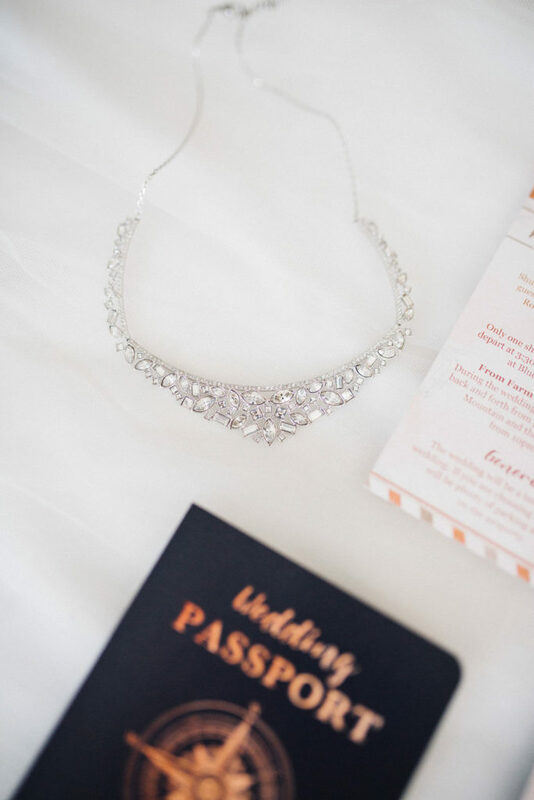 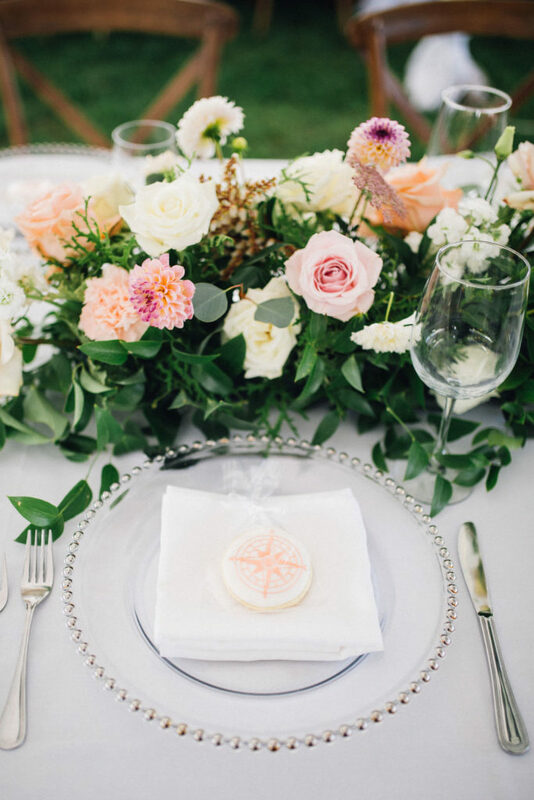 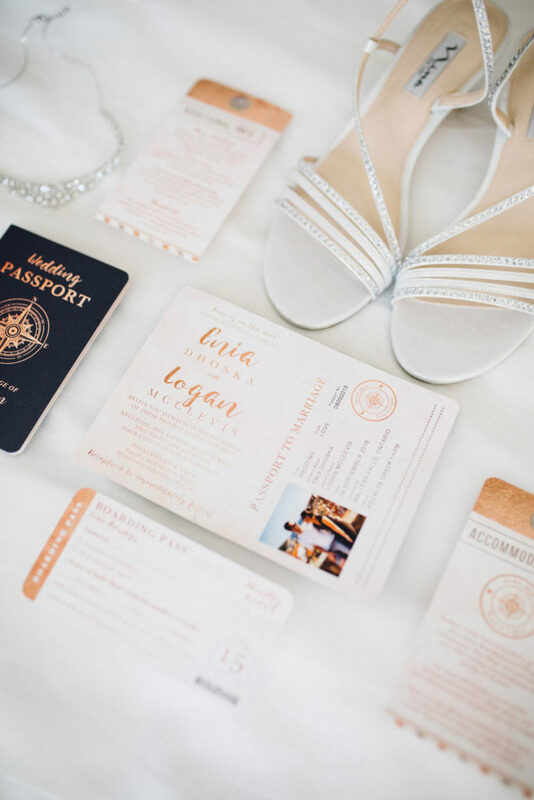 We incorporated their love of travel into many of the details, such as the invitations and subtly into the guest favours as well – a compass cookie that also doubled as a place card. 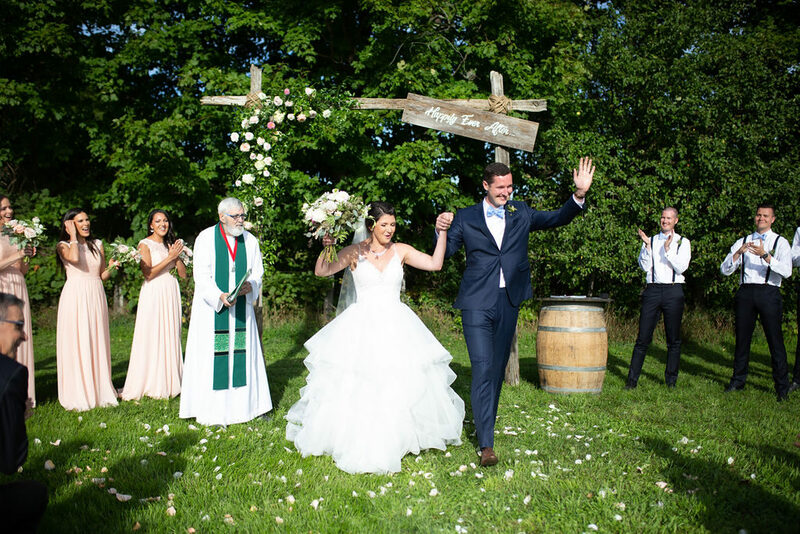 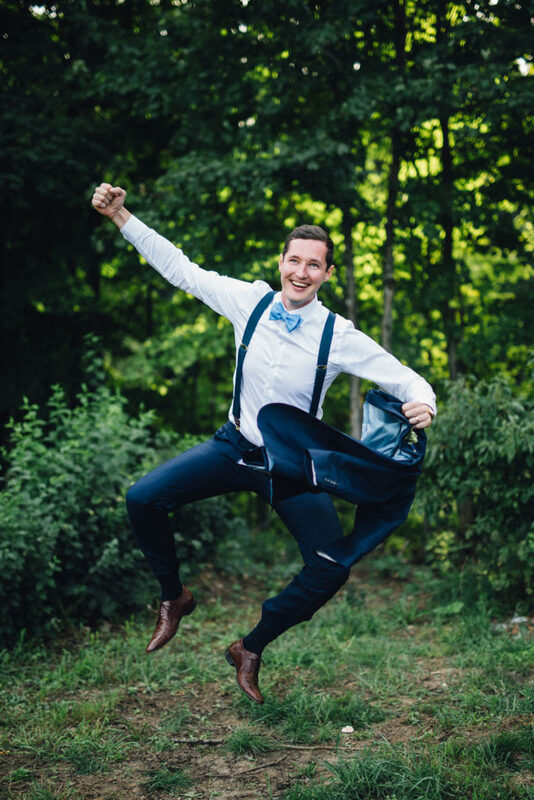 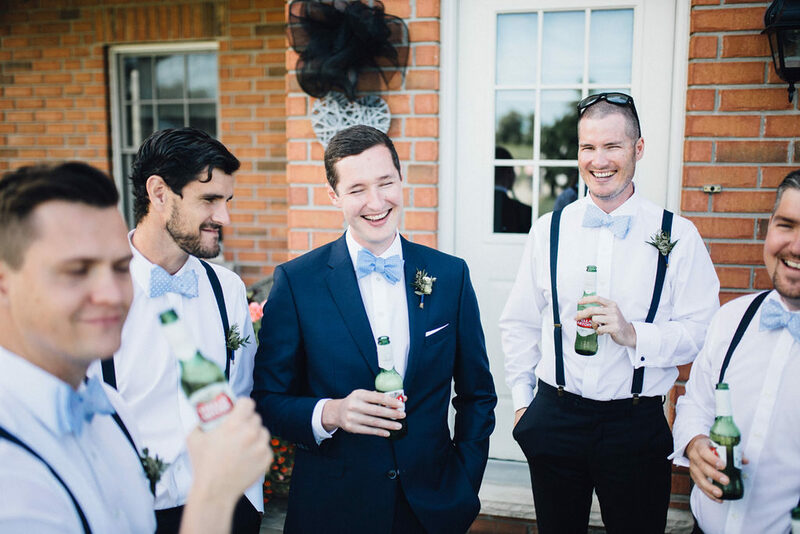 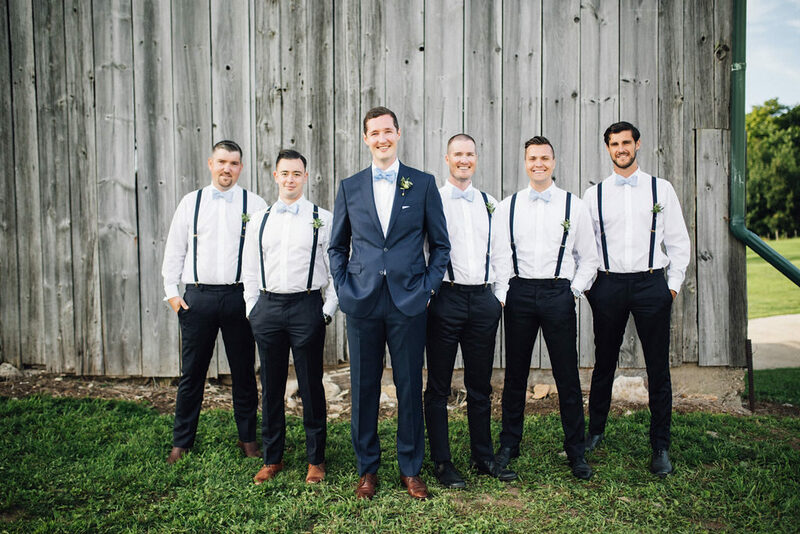 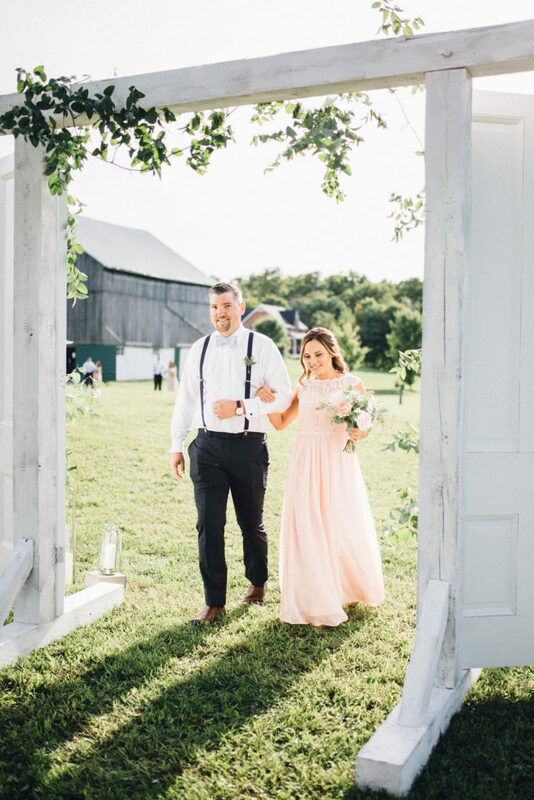 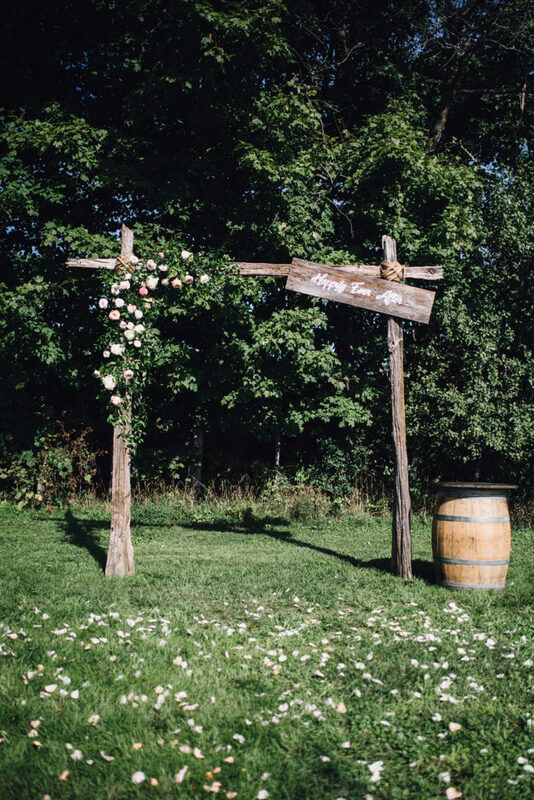 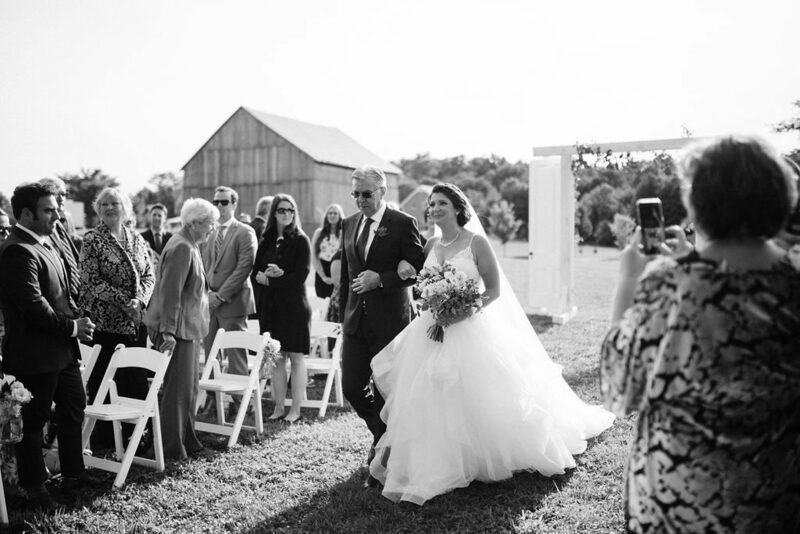 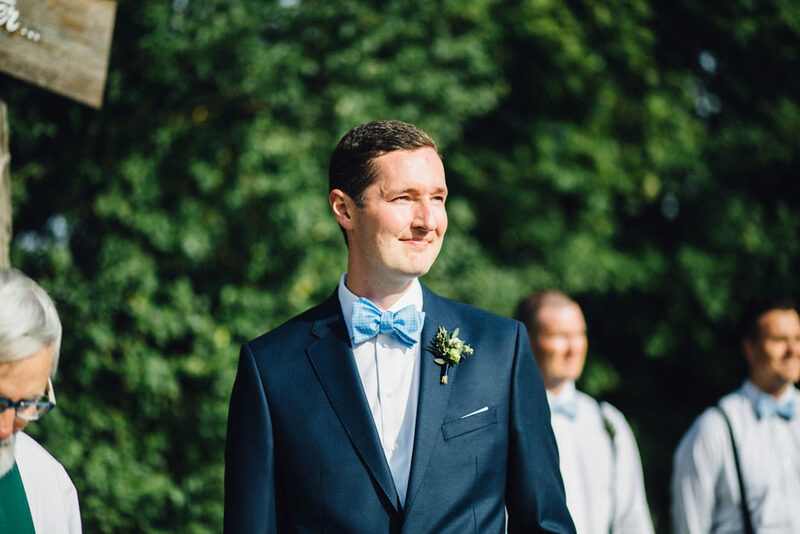 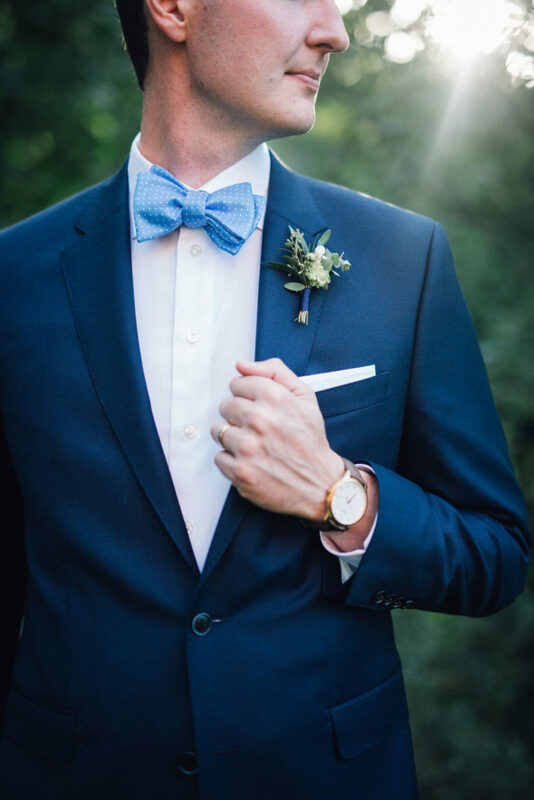 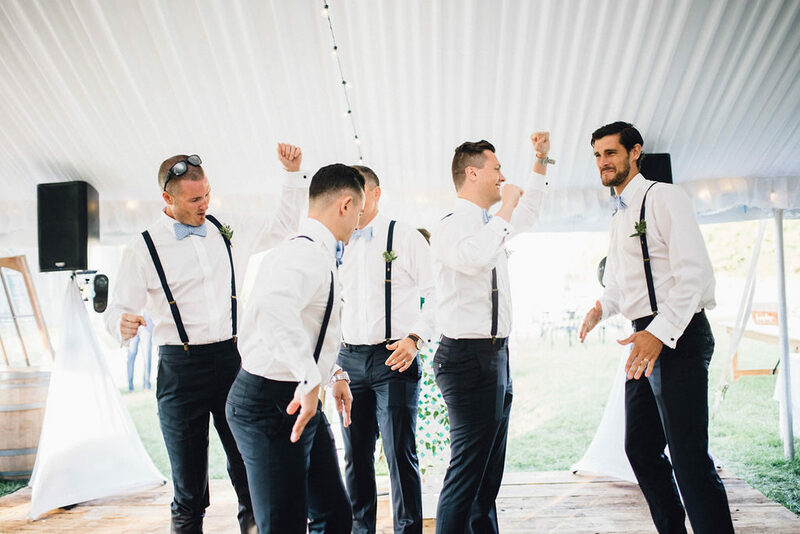 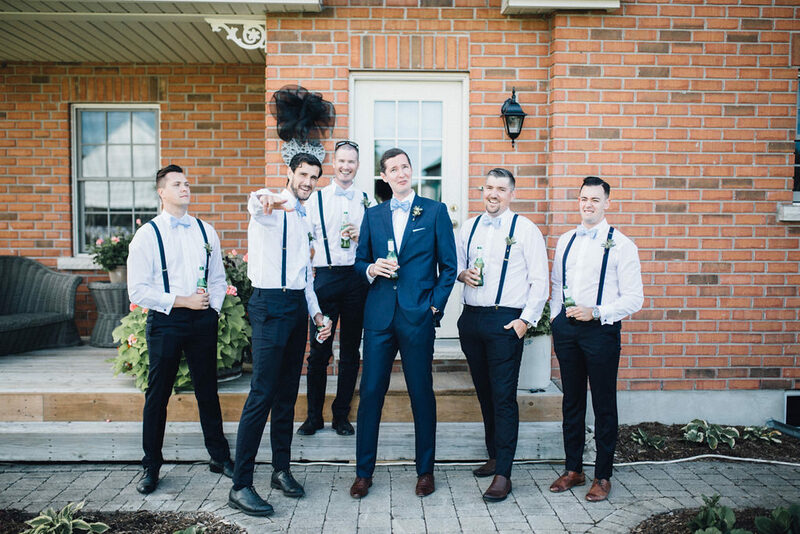 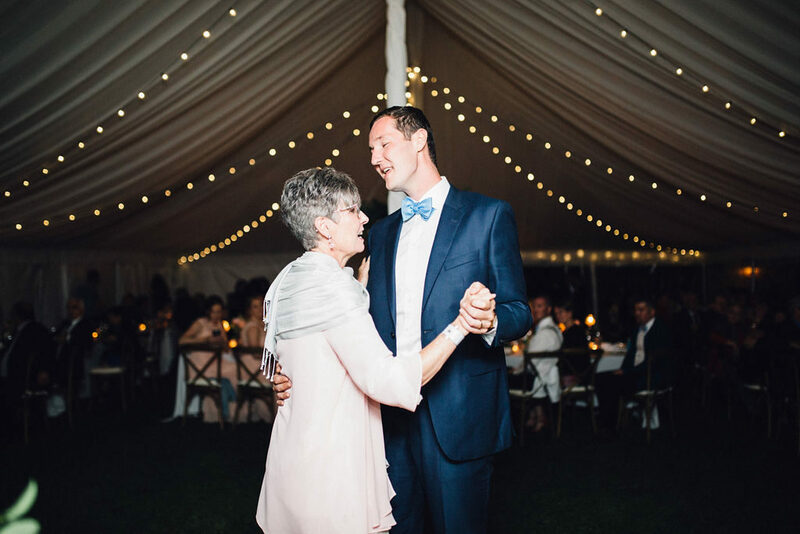 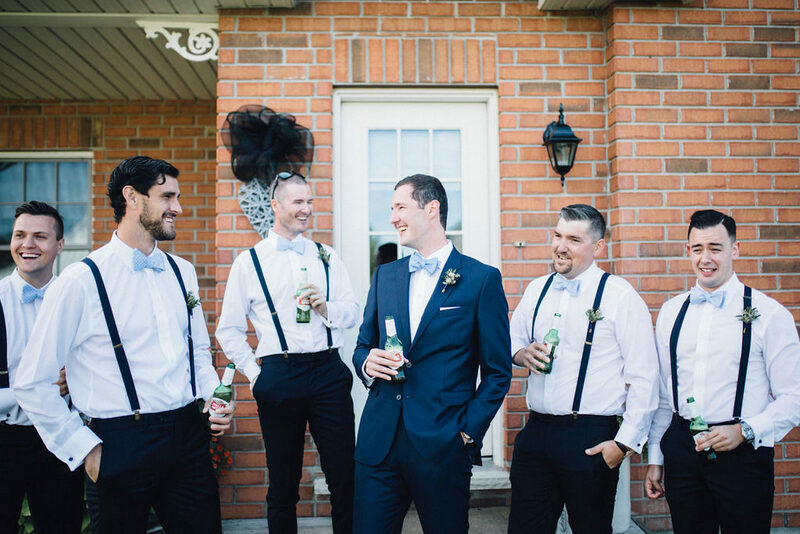 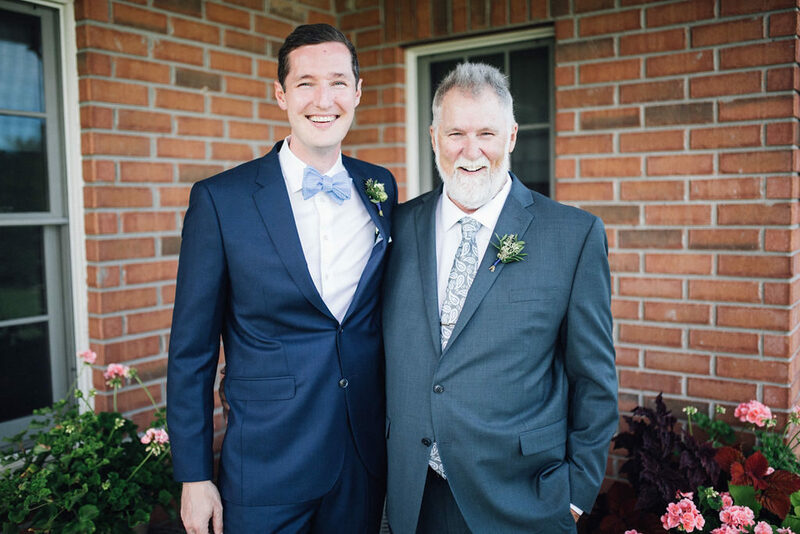 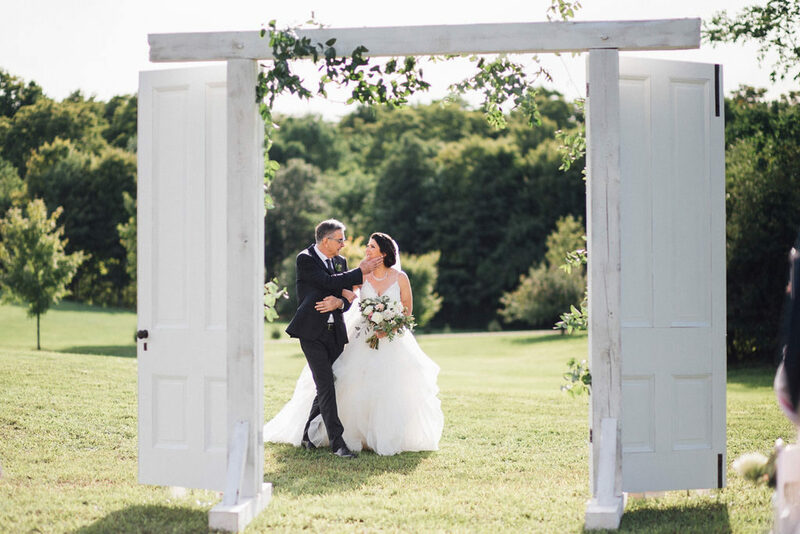 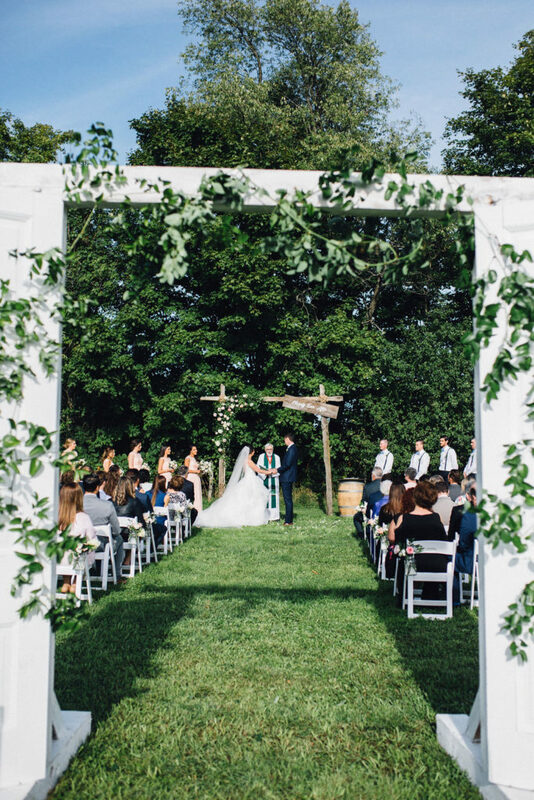 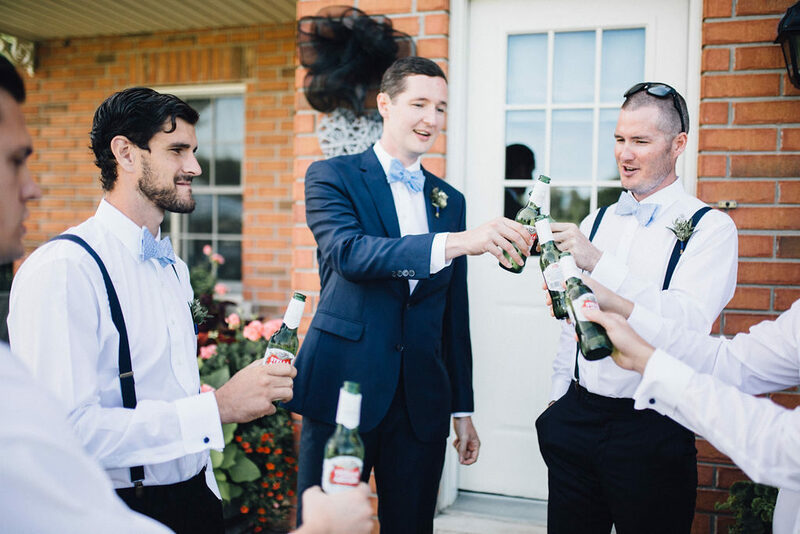 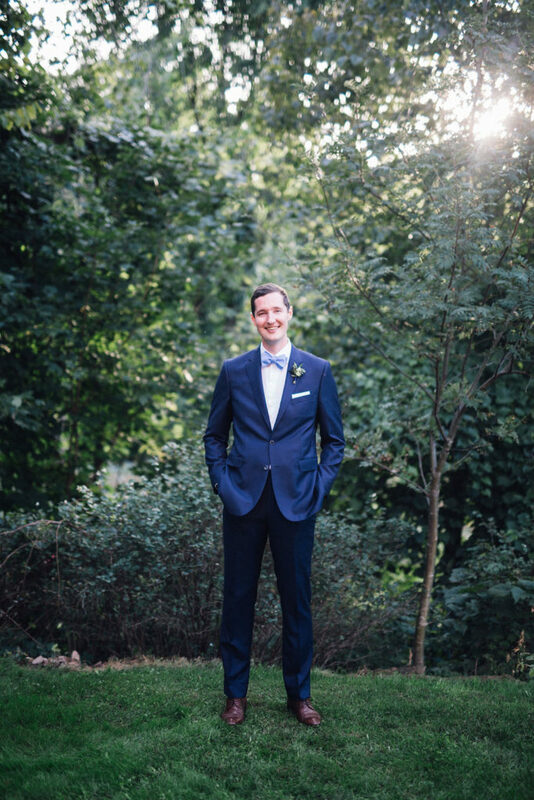 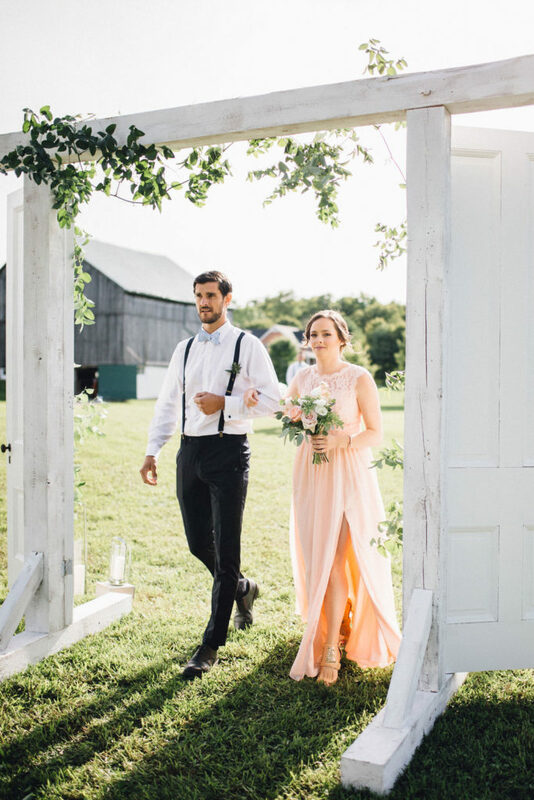 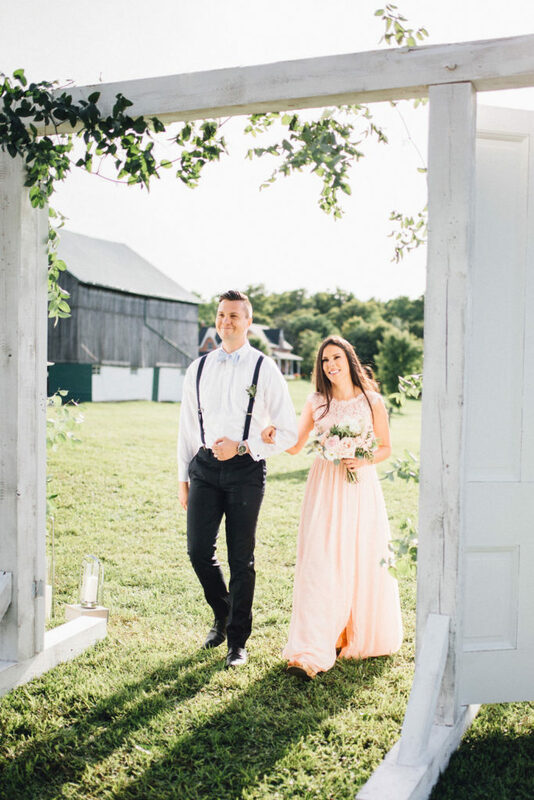 Since the groom is handy and enjoys woodworking, we made sure to include several projects for him along the way – from building the amazing wood dance floor, to the vintage doors at the start of the aisle, and the beautiful ceremony arch. 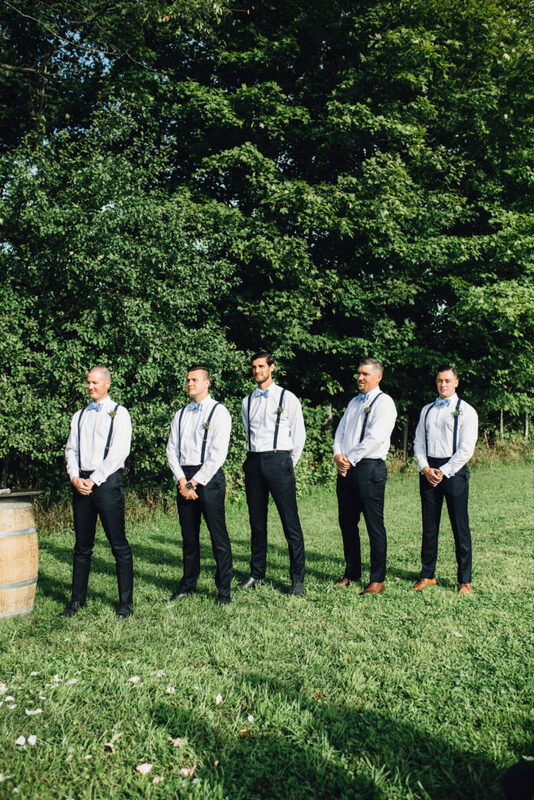 Wine barrels doubled as ceremony decor as well as tables for cocktail hour, and a lounge area with vintage furniture was included for guests to relax in and enjoy a cocktail, or two. 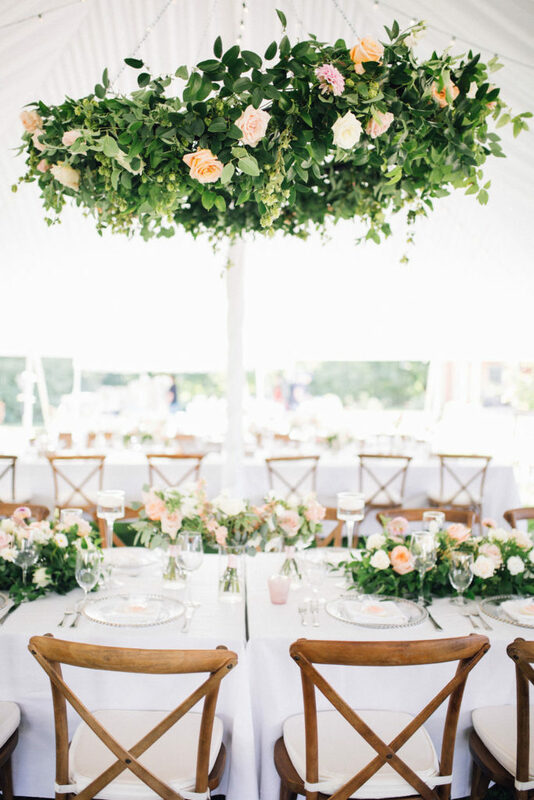 My favourite design aspect was the amazing floral chandelier over the head table. 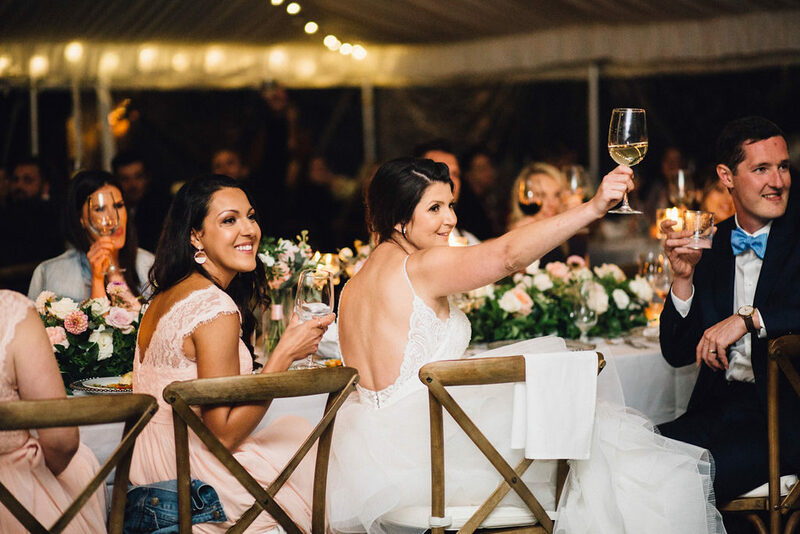 Since the bride & groom sat amongst their guests, it was a beautiful way to define their table, as well as tie together the reception space. 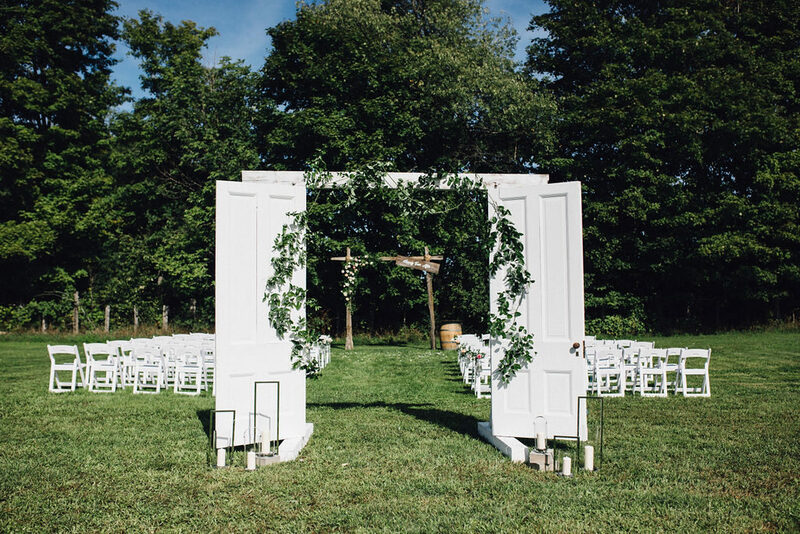 Loved this element that came to life thanks to Karen of Cedar & Stone. 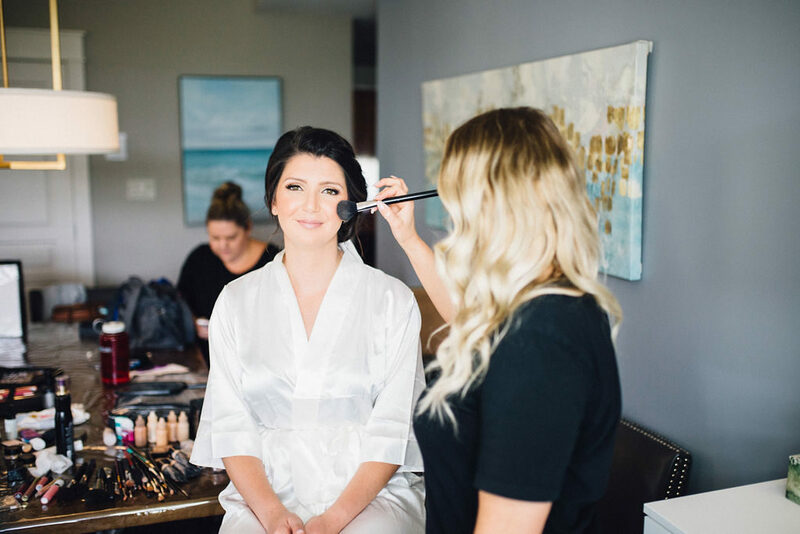 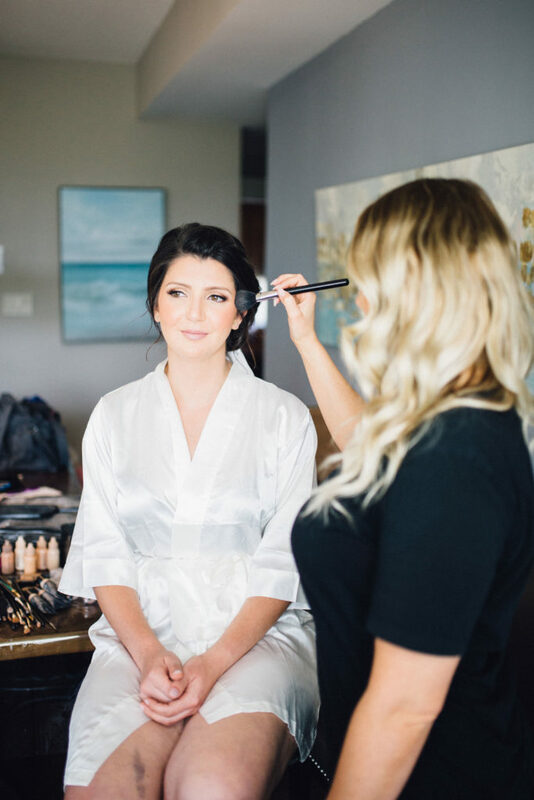 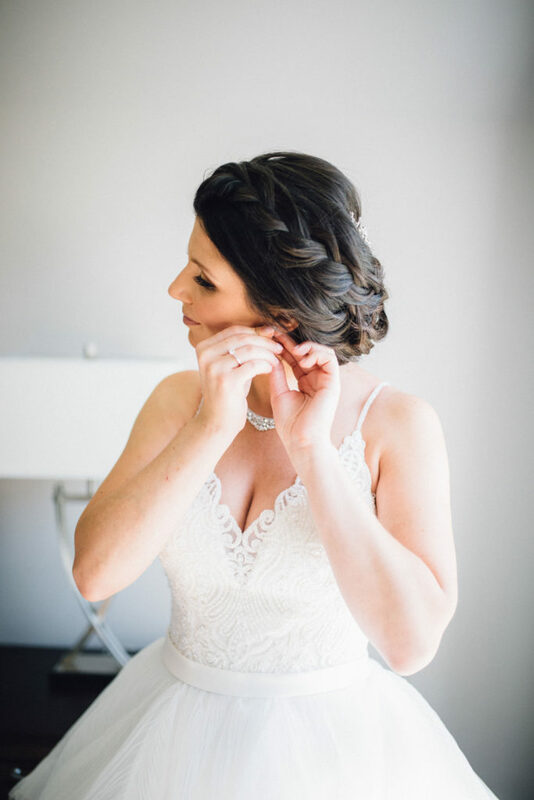 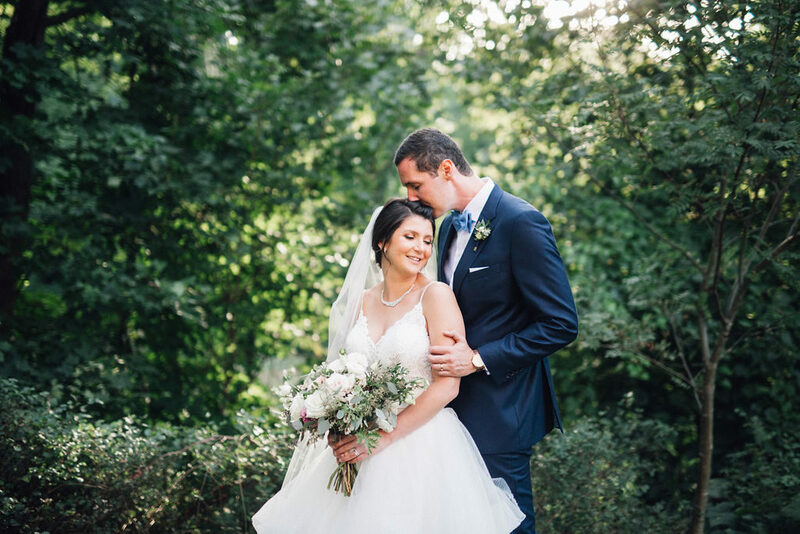 Thank you Enia & Logan for trusting us to design & coordinate your beautiful day – you were an absolute pleasure to work with. 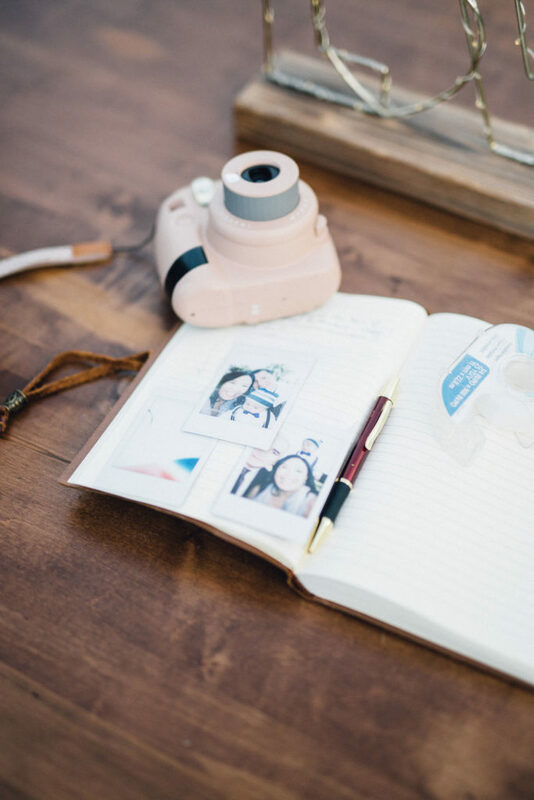 For a closer look at our Design Process and how our plans go from inspiration to execution, click here.